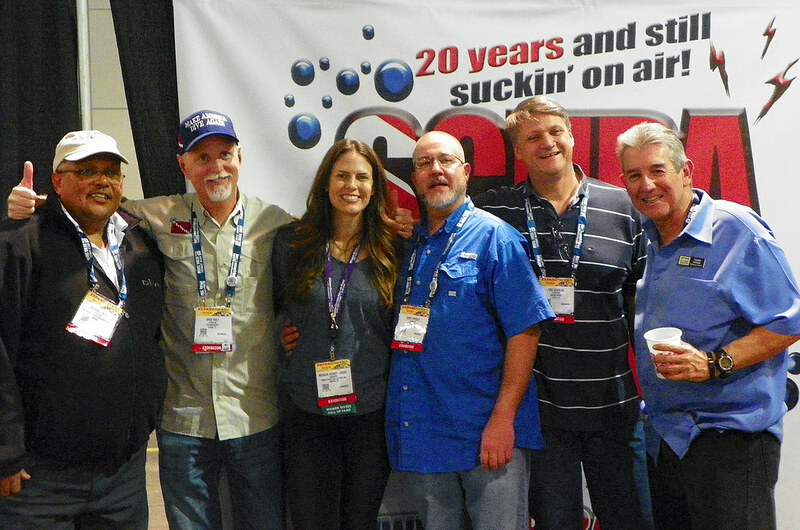 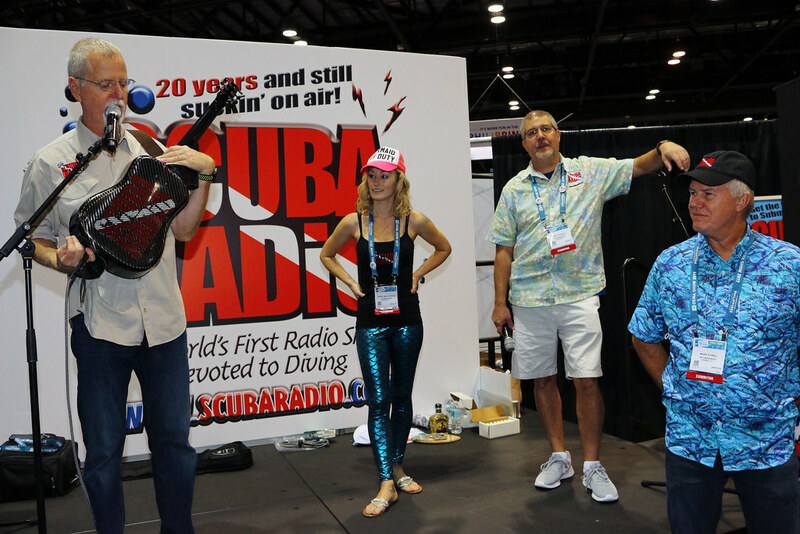 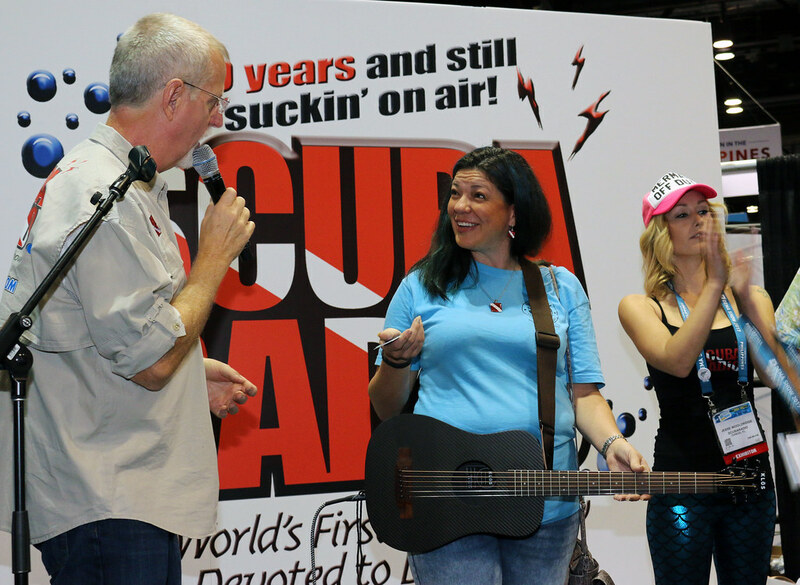 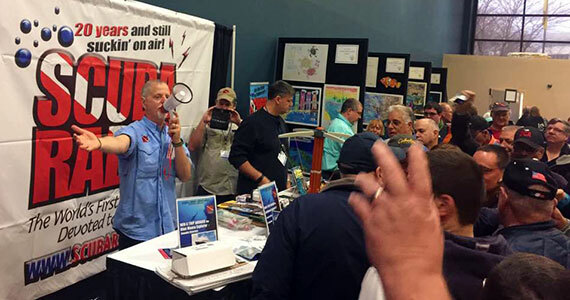 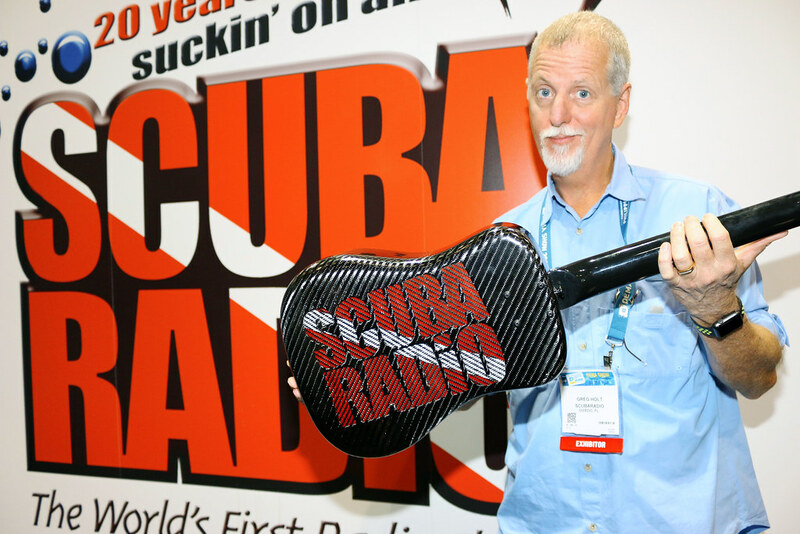 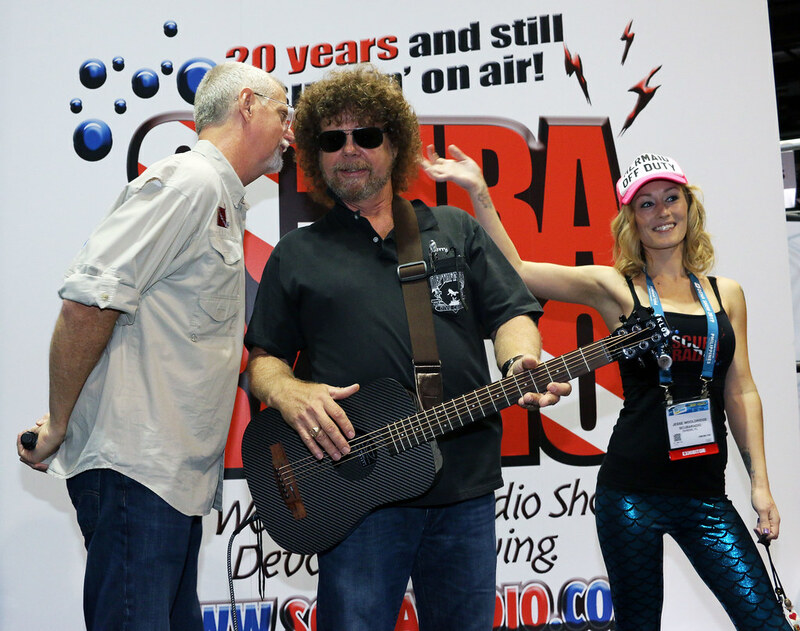 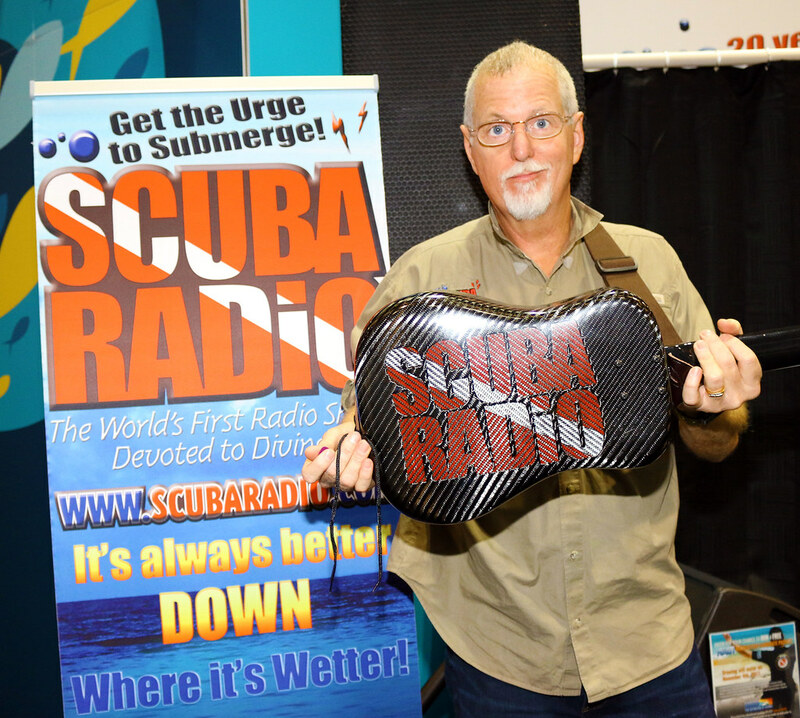 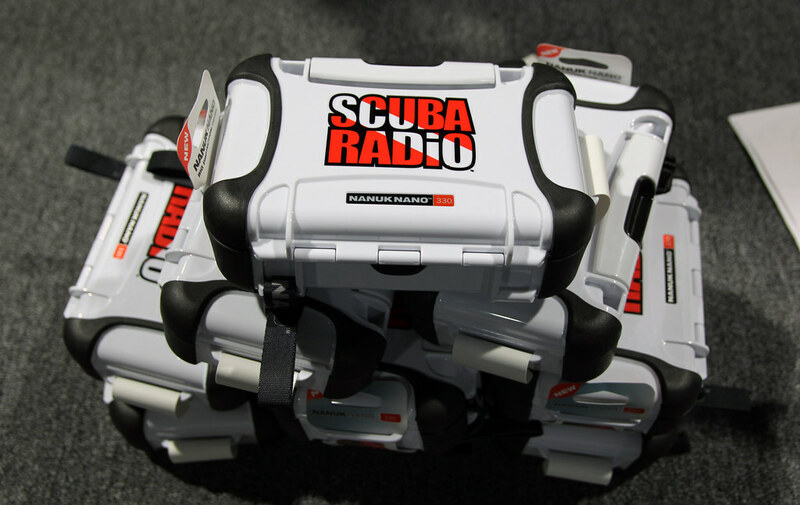 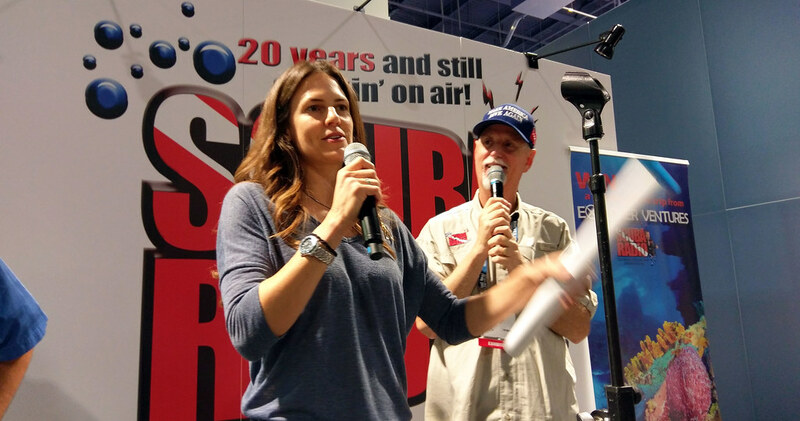 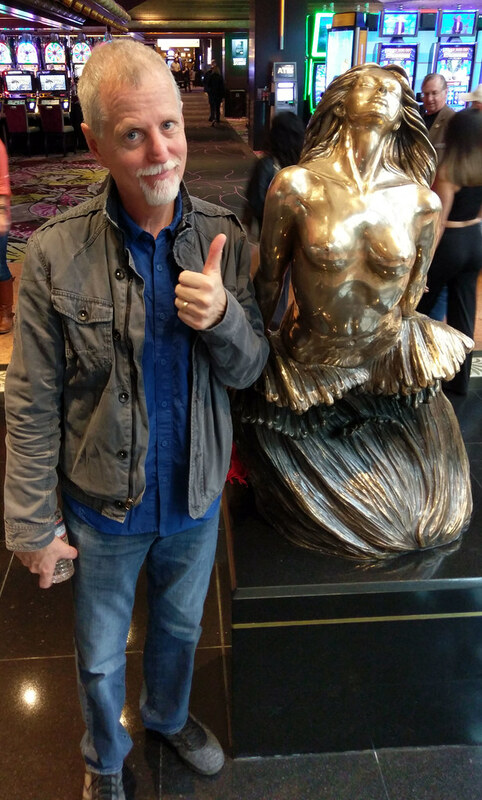 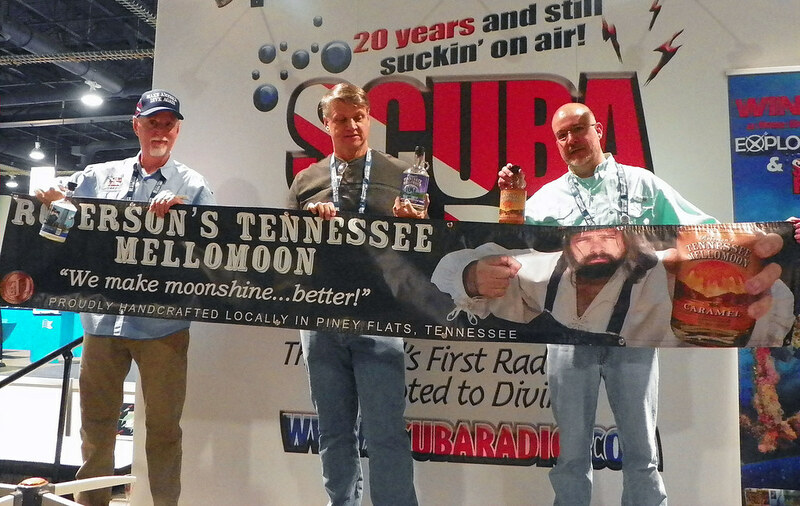 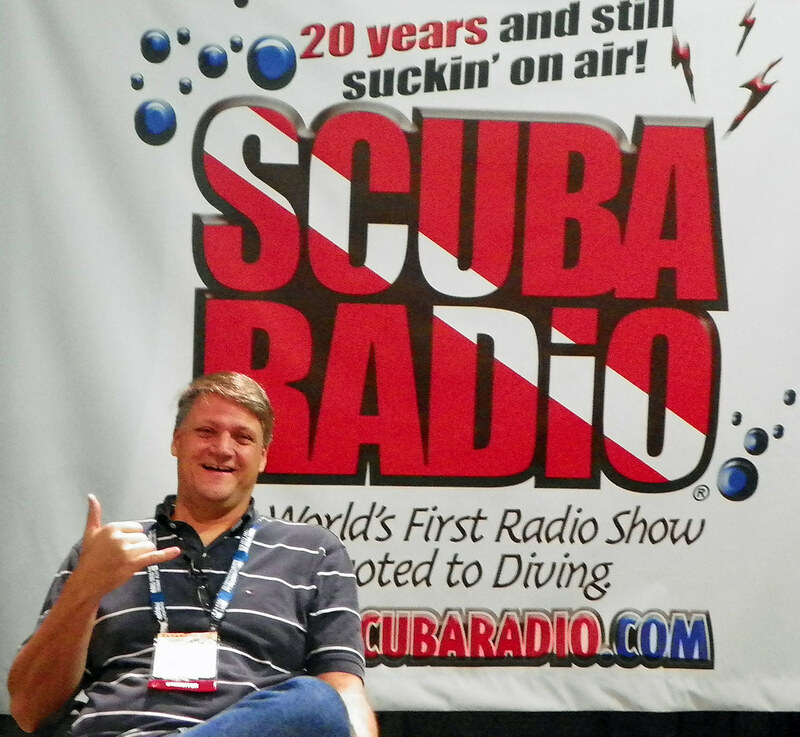 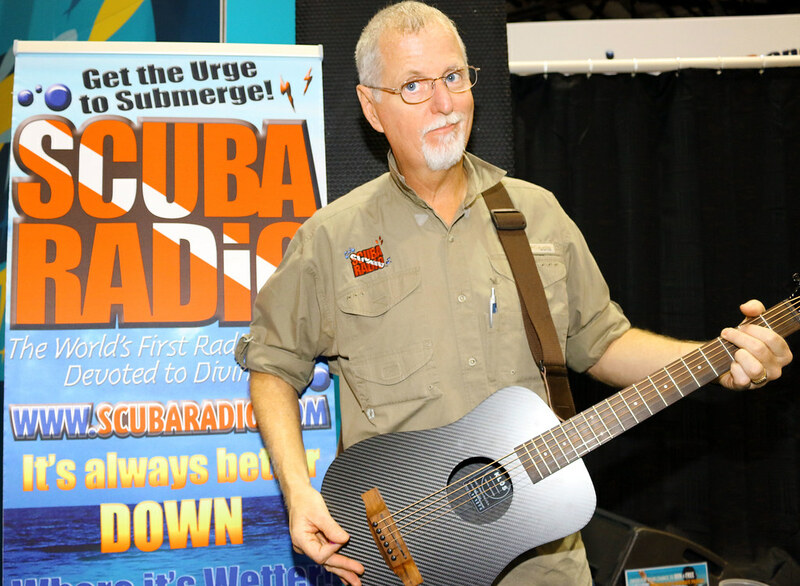 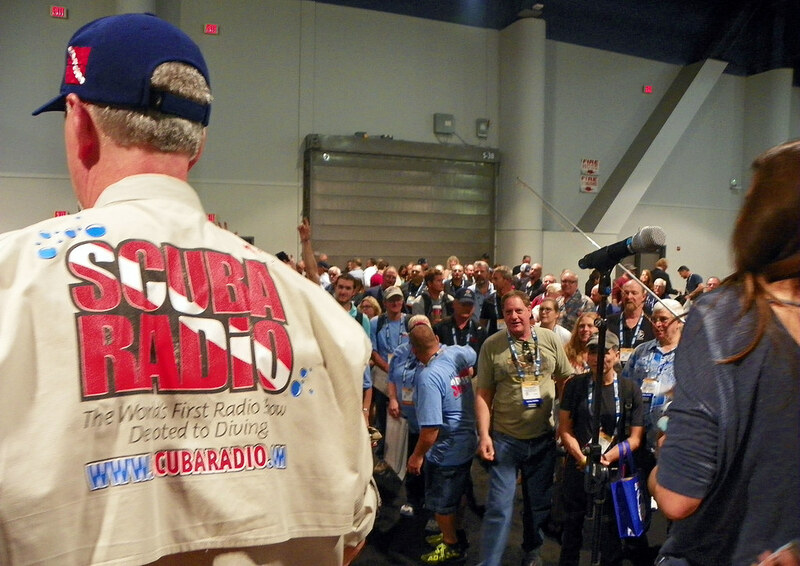 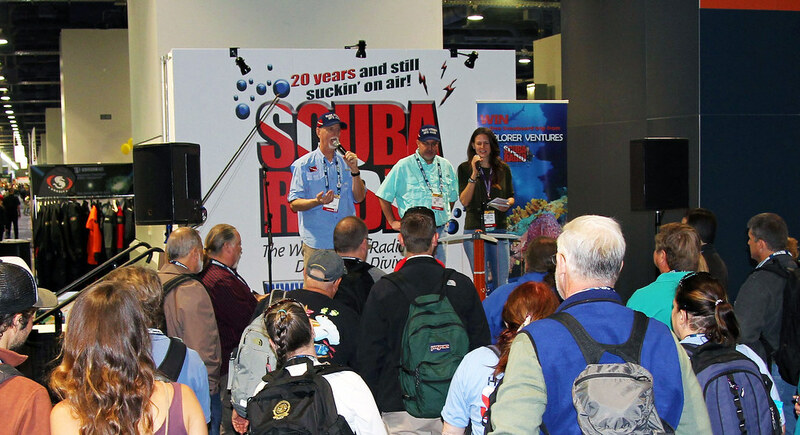 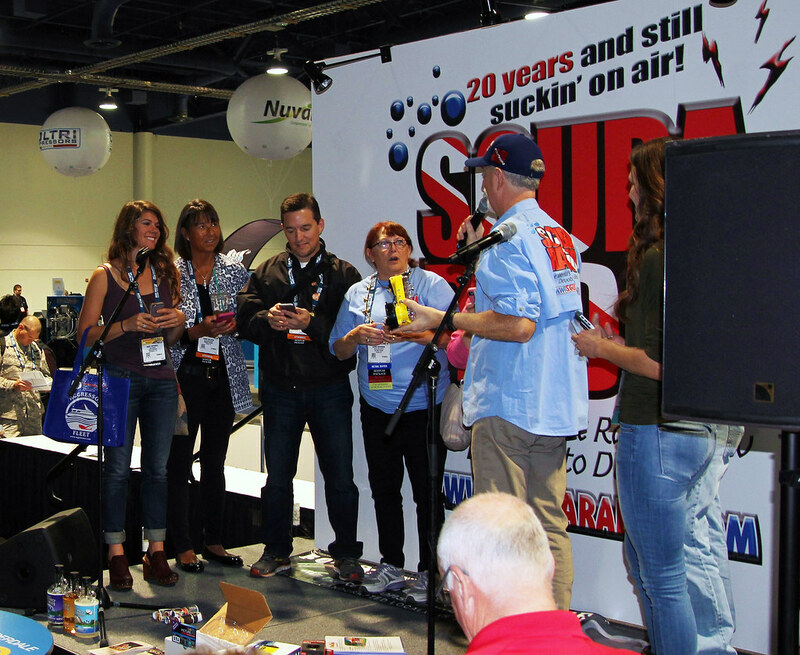 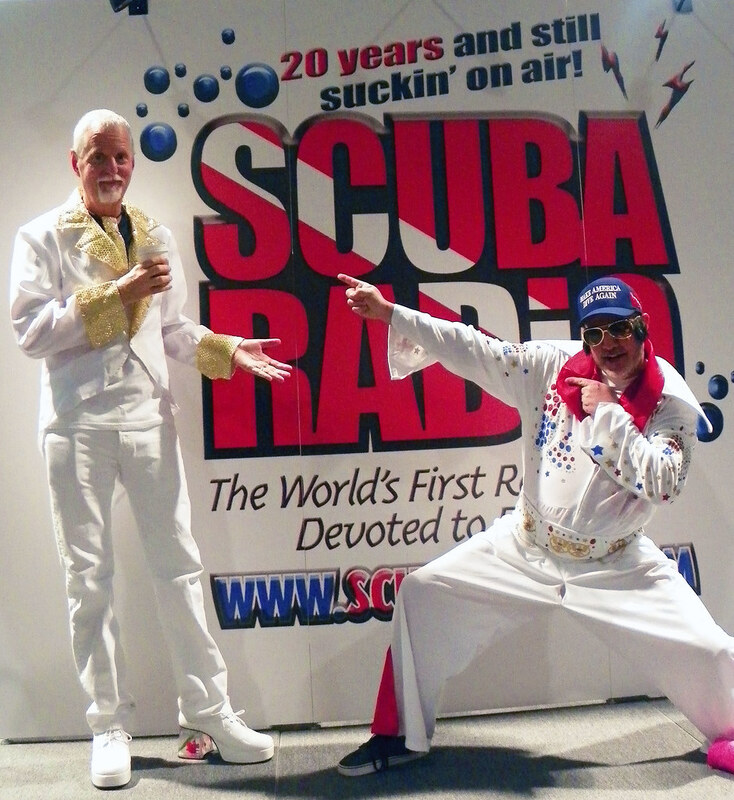 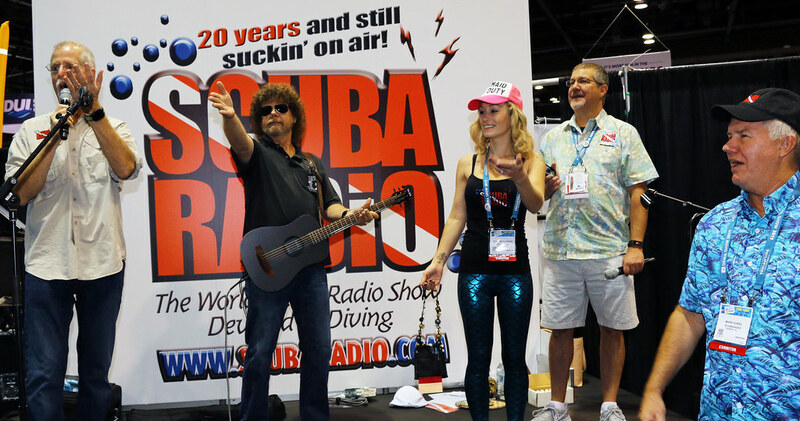 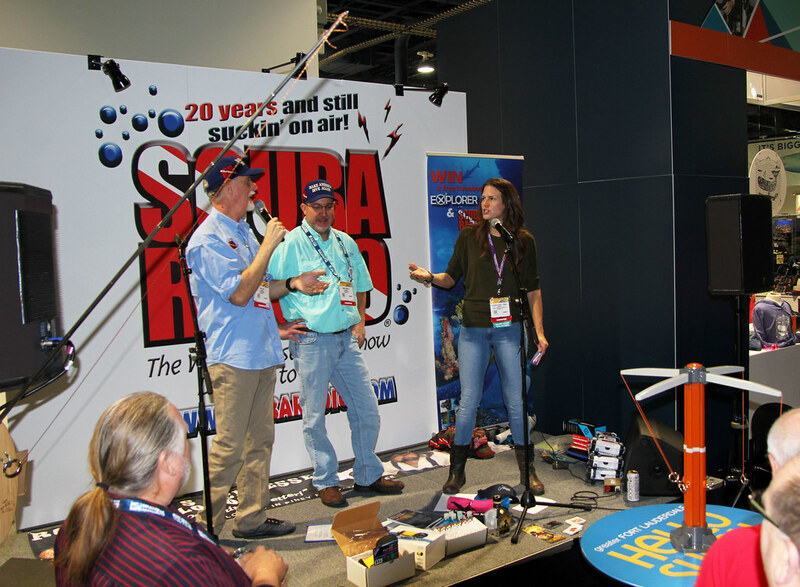 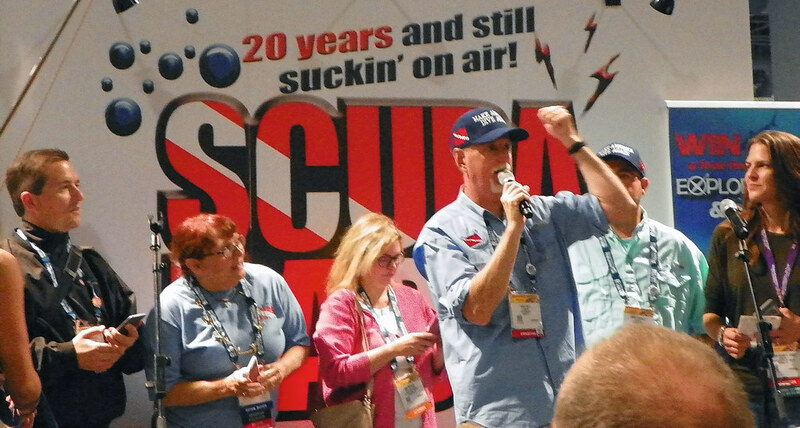 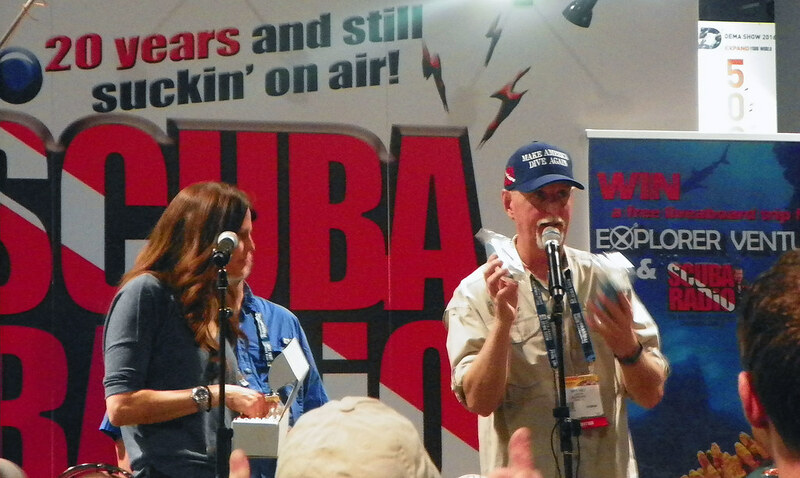 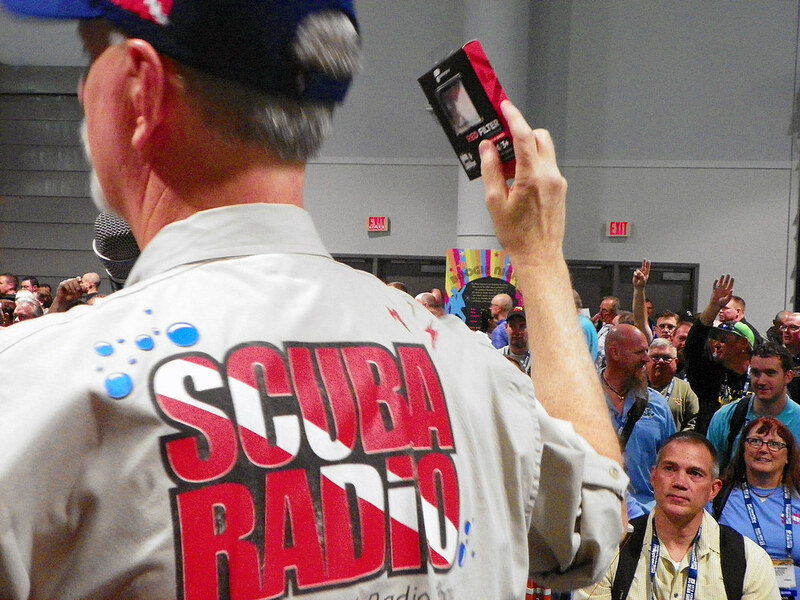 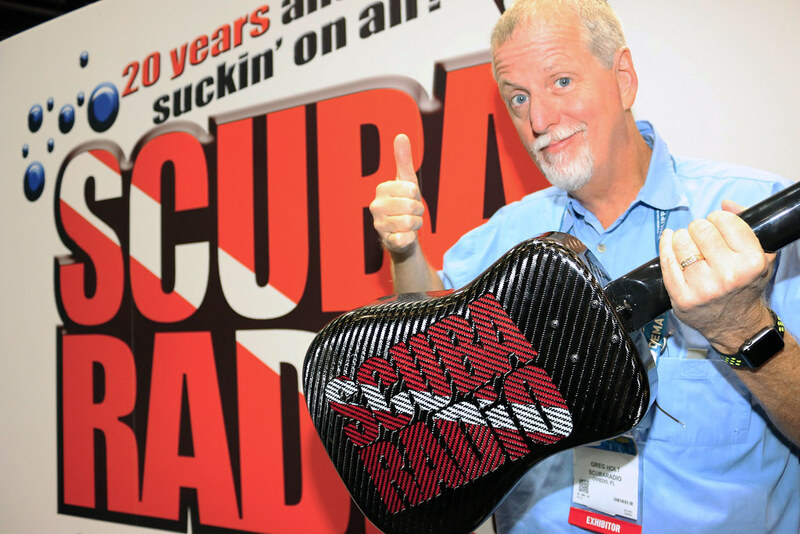 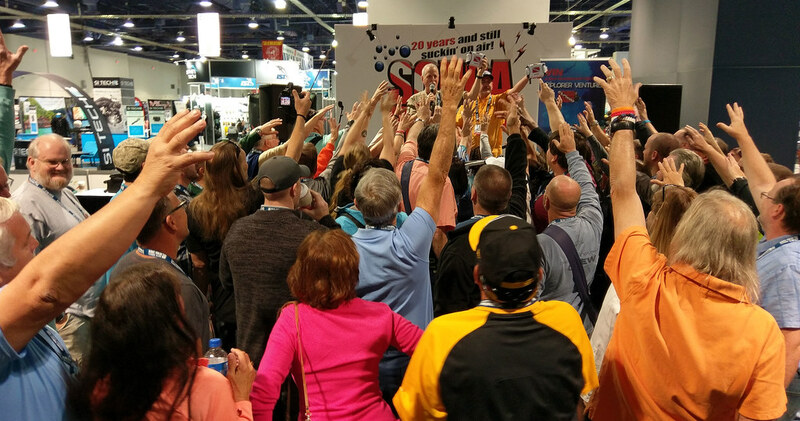 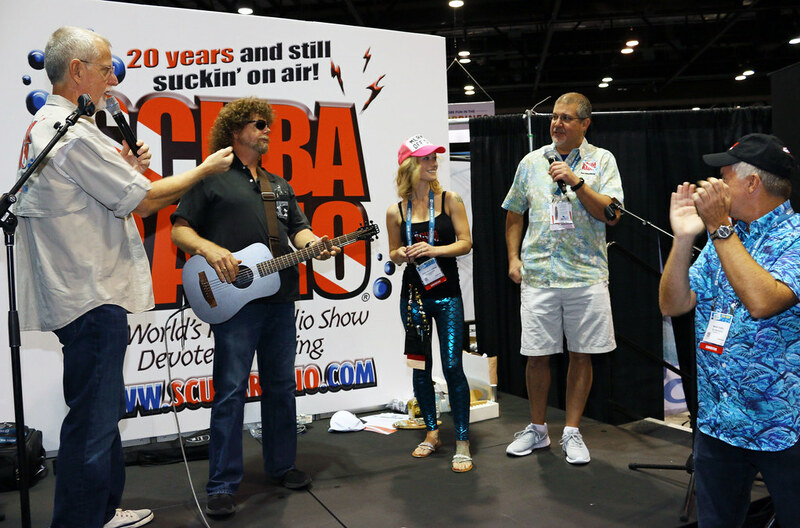 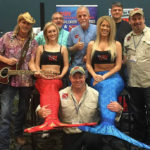 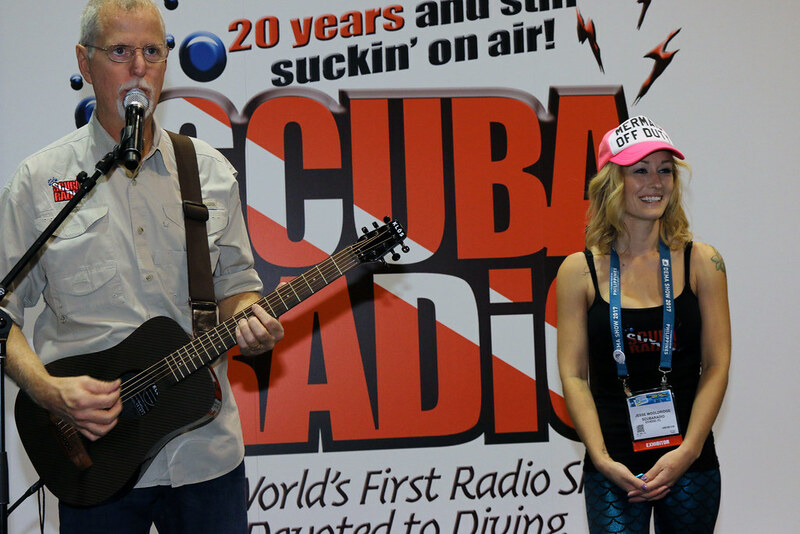 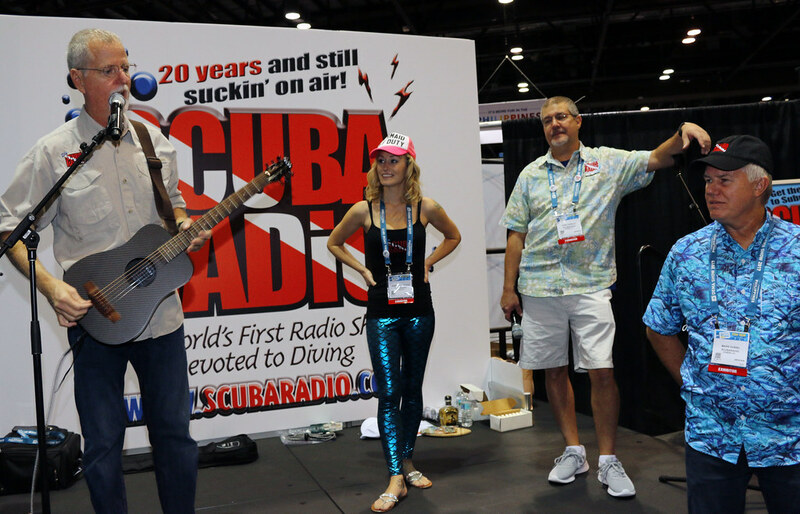 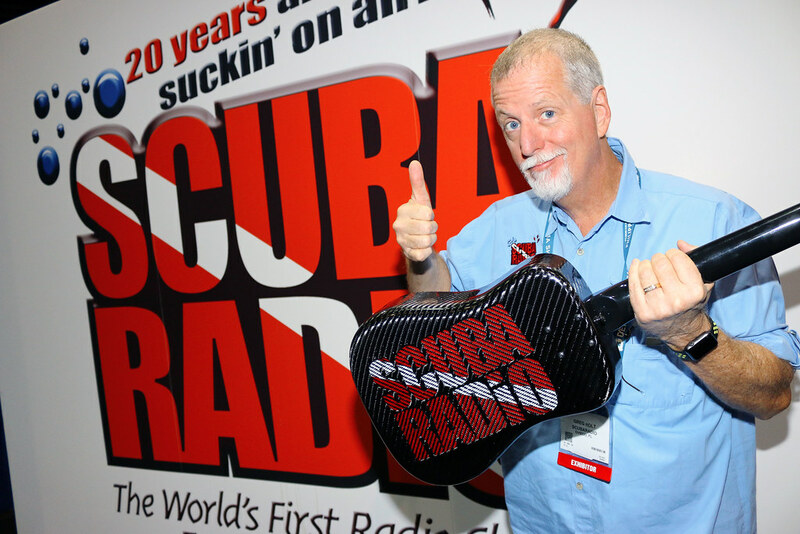 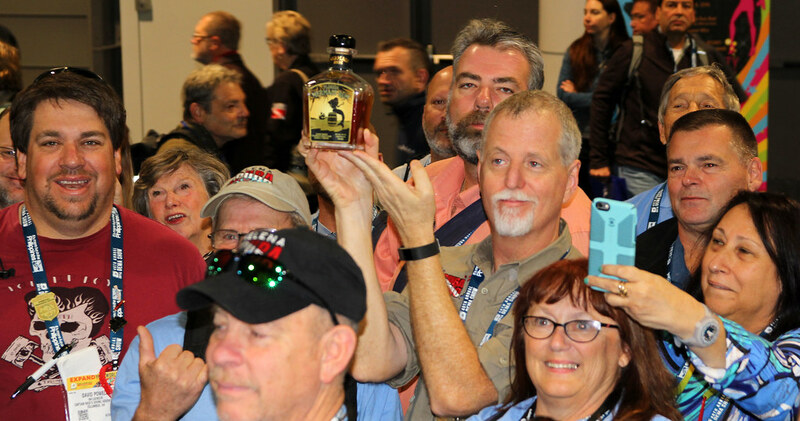 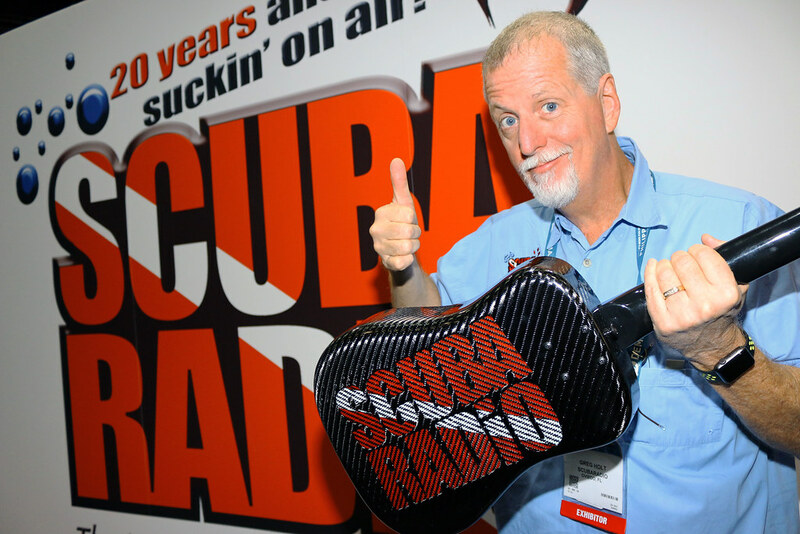 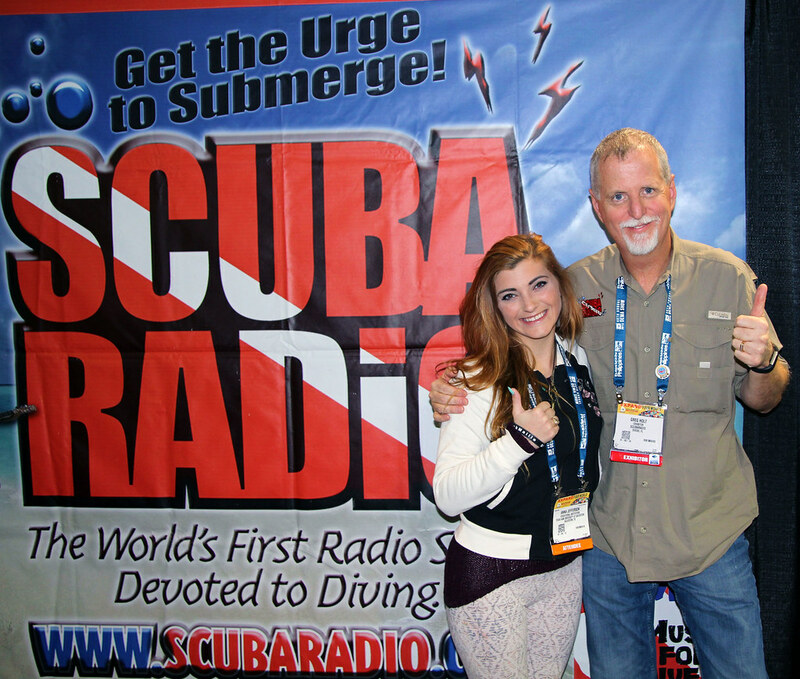 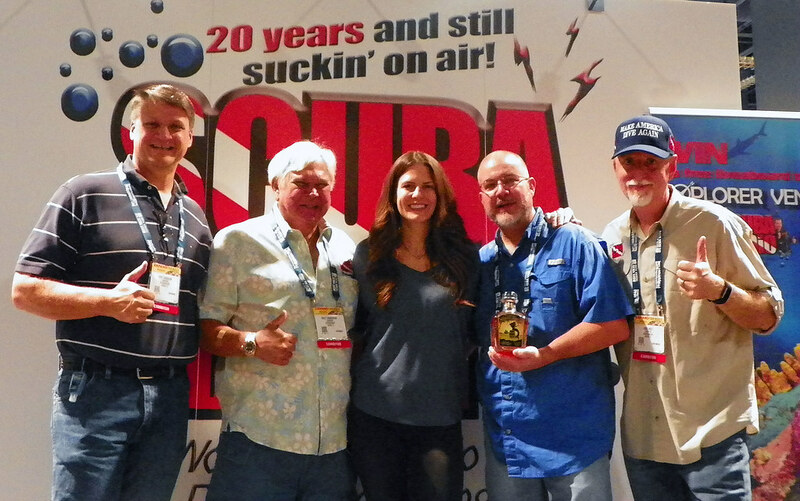 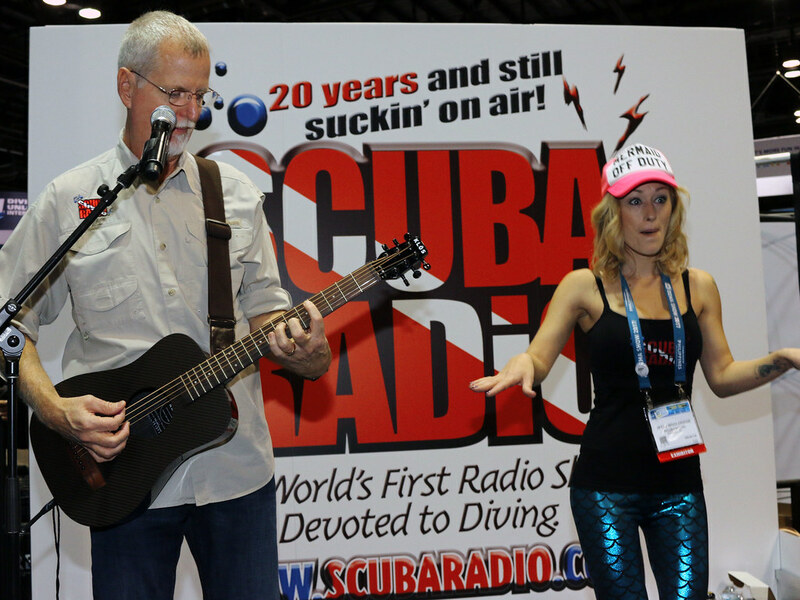 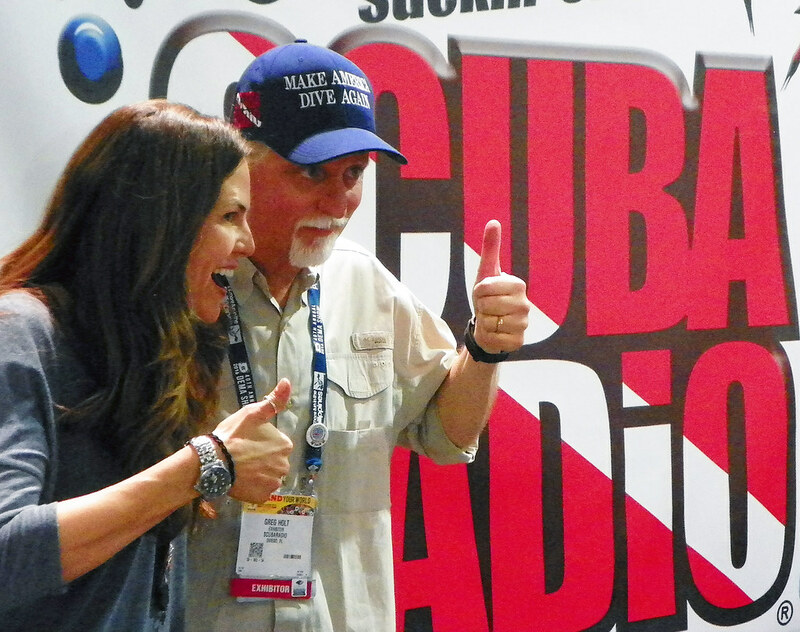 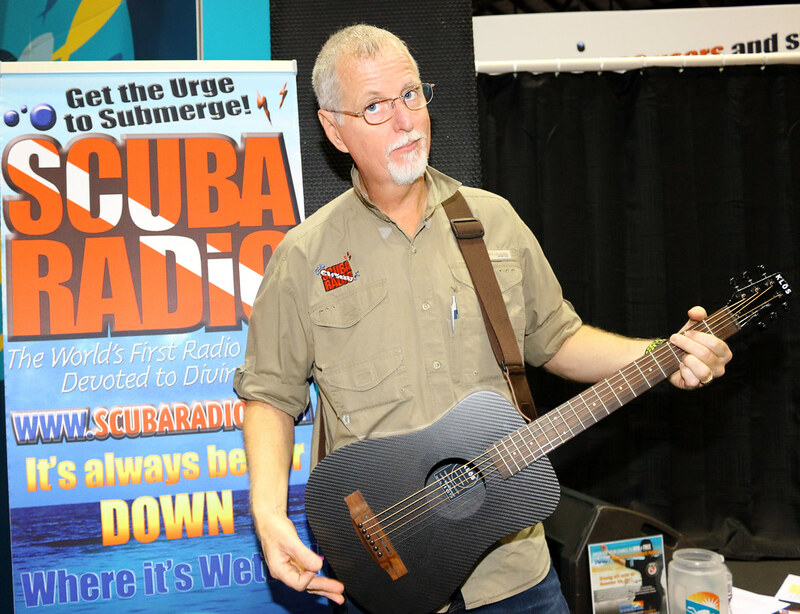 This is a very special DEMA show this year in Orlando November 1-4 as ScubaRadio celebrates 20 years and still suckin' on-air! 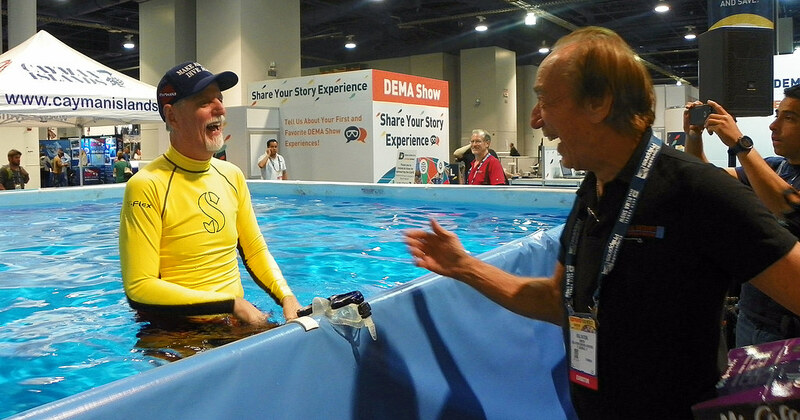 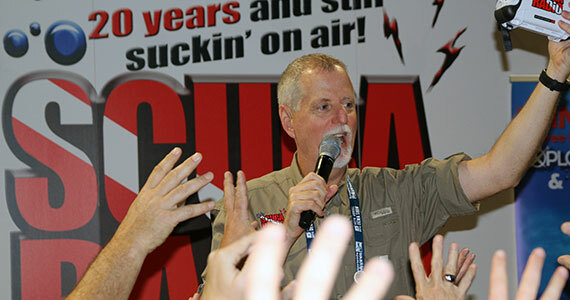 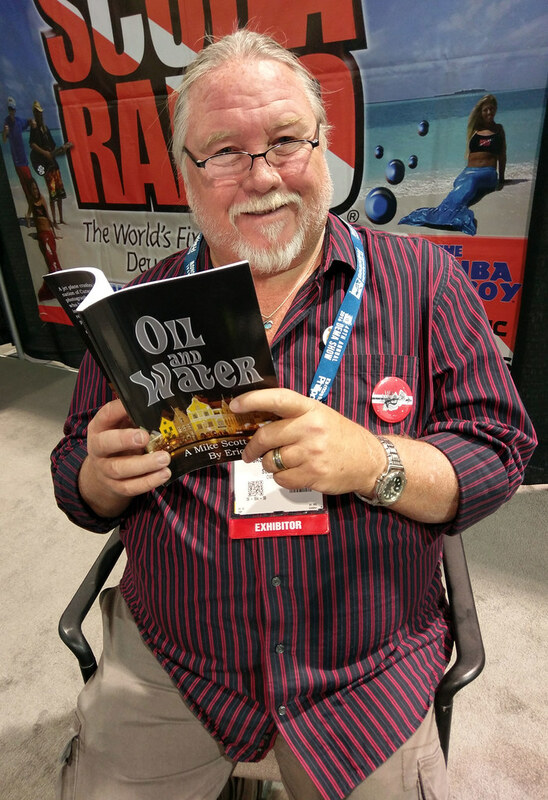 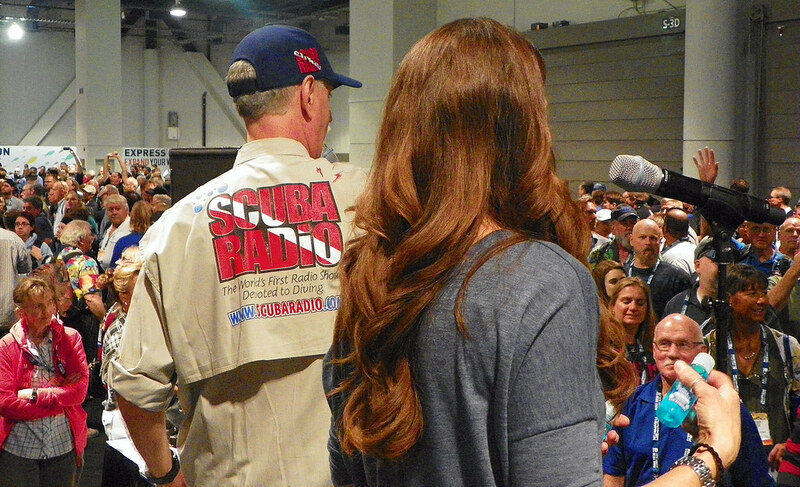 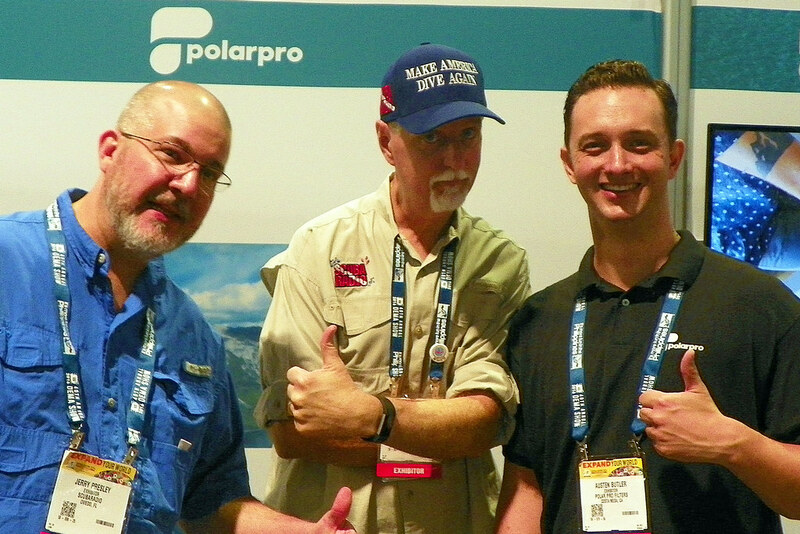 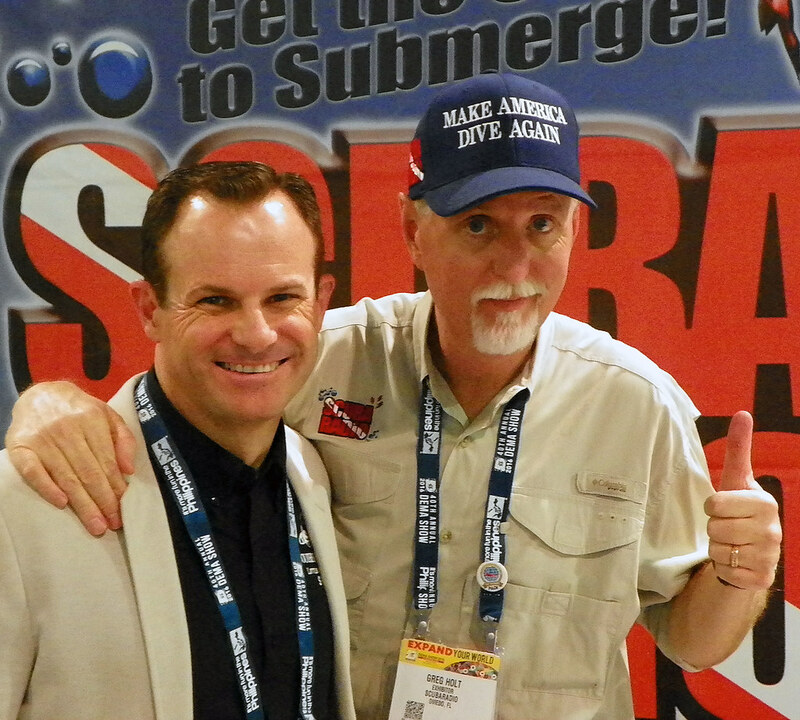 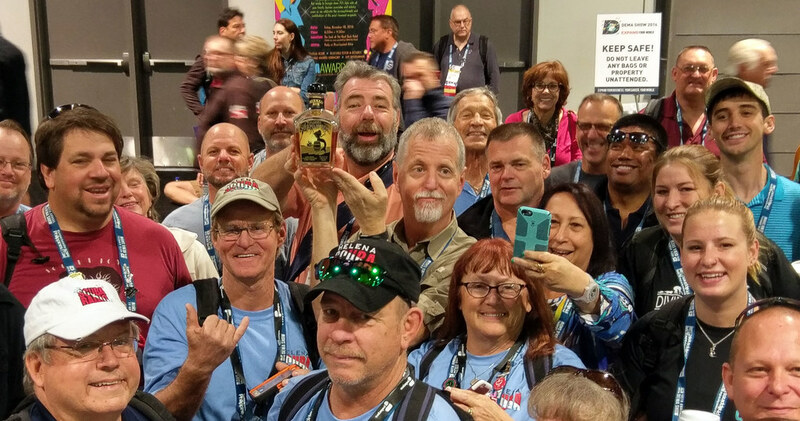 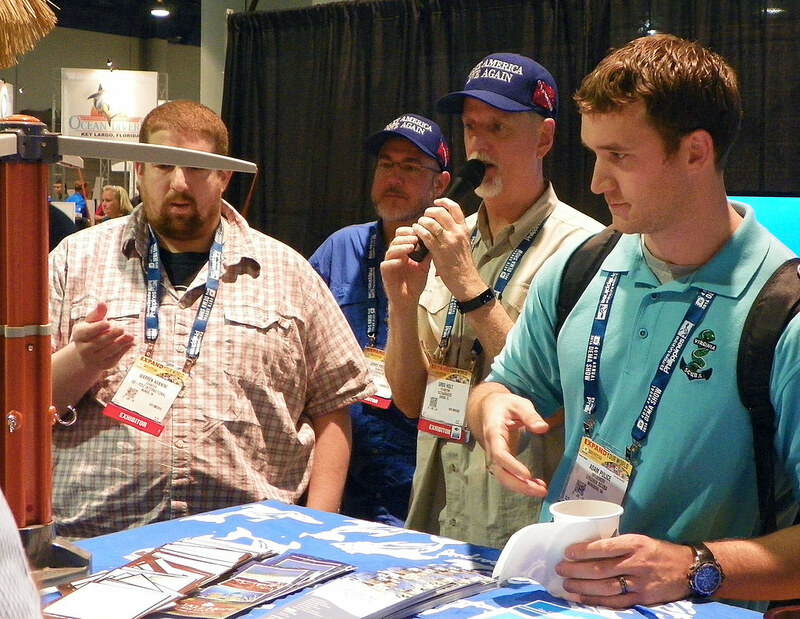 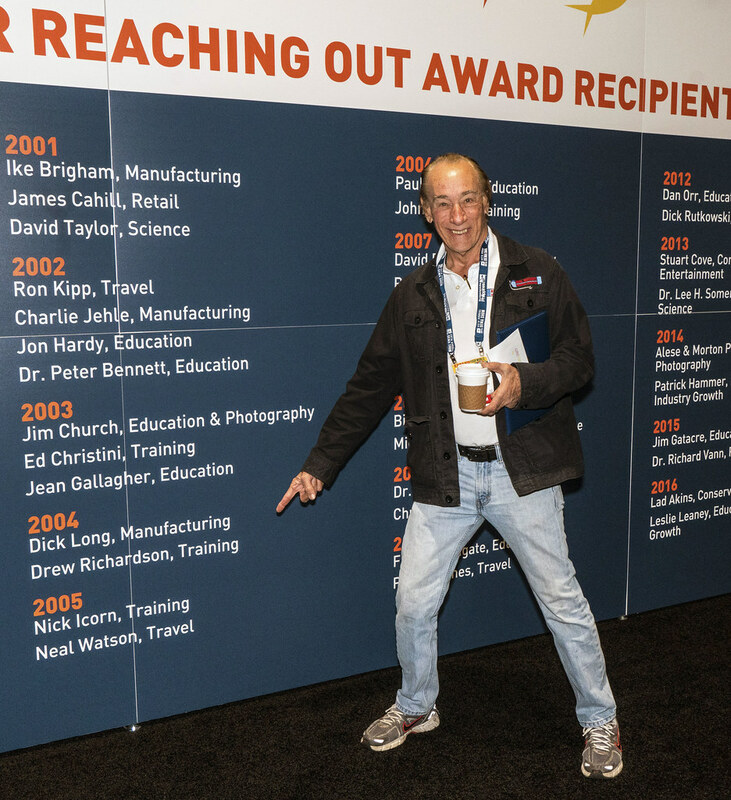 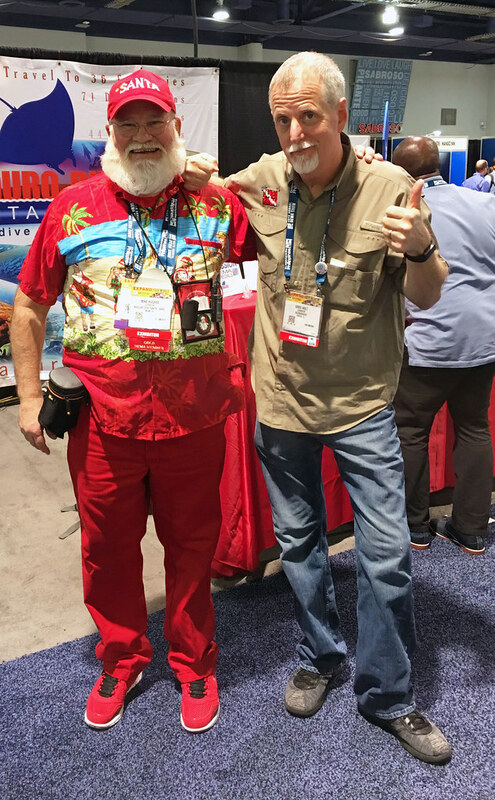 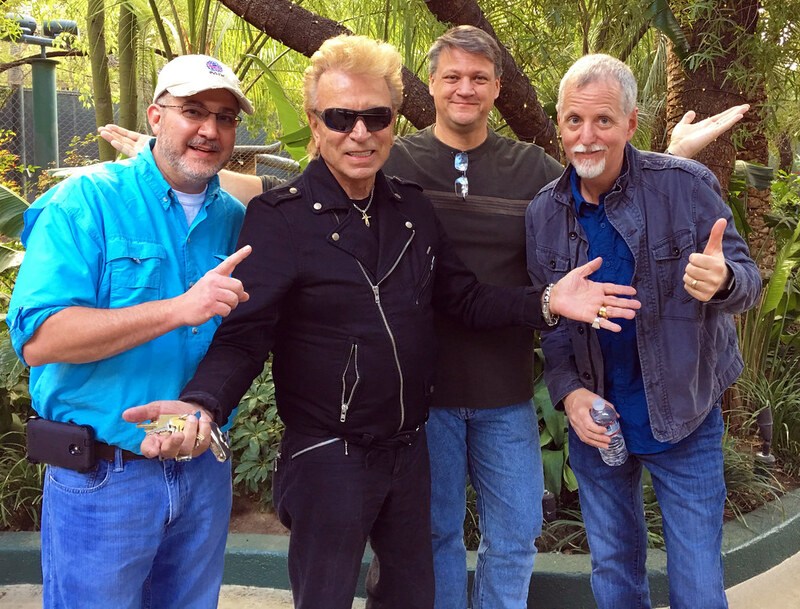 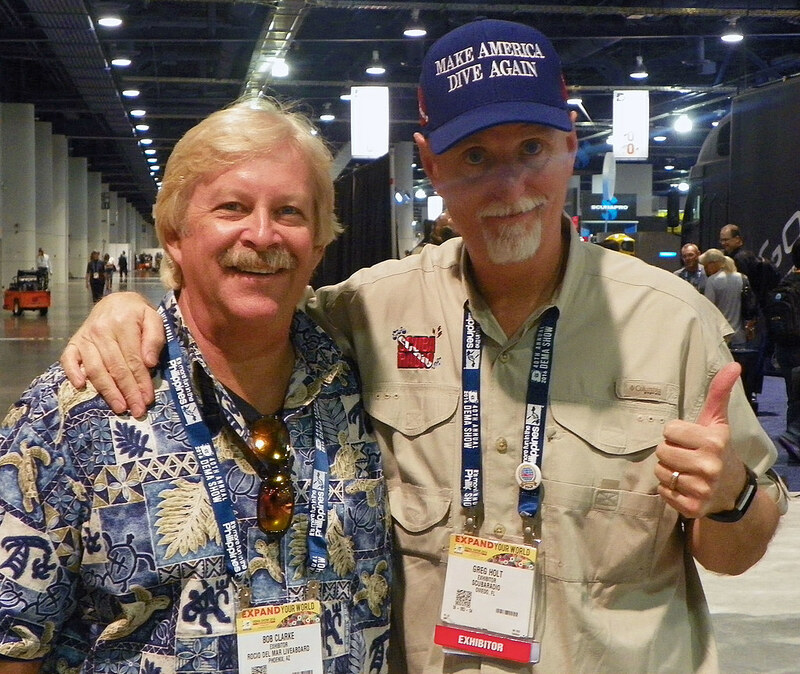 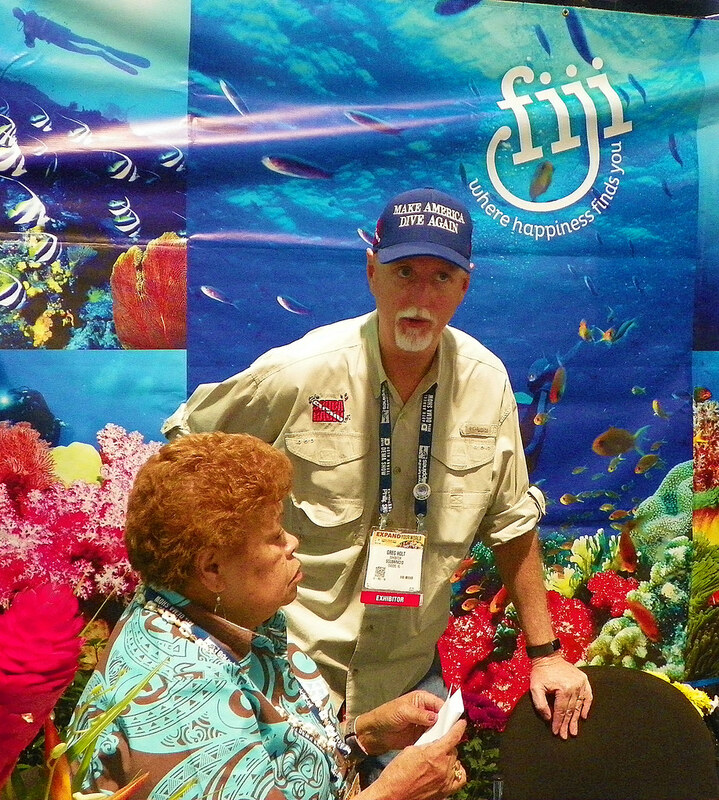 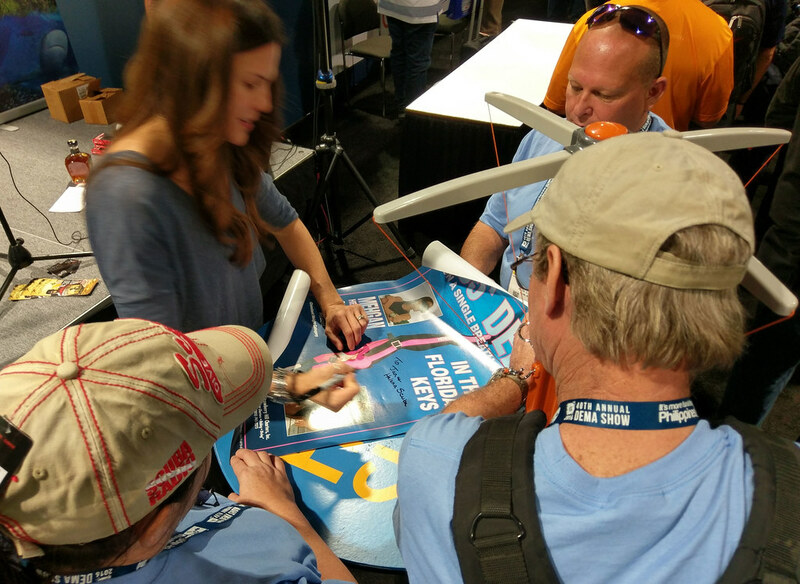 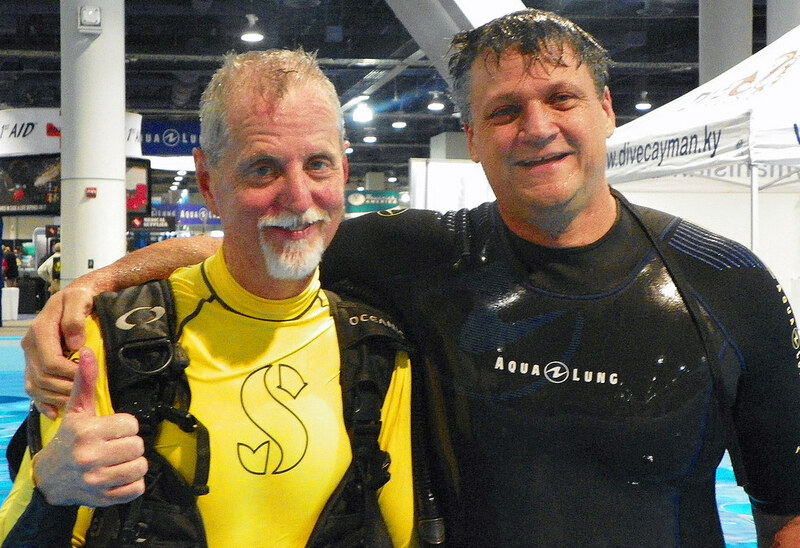 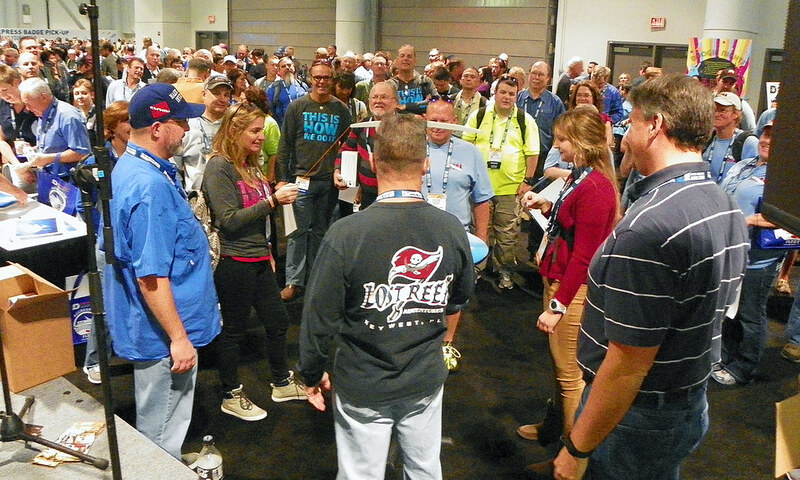 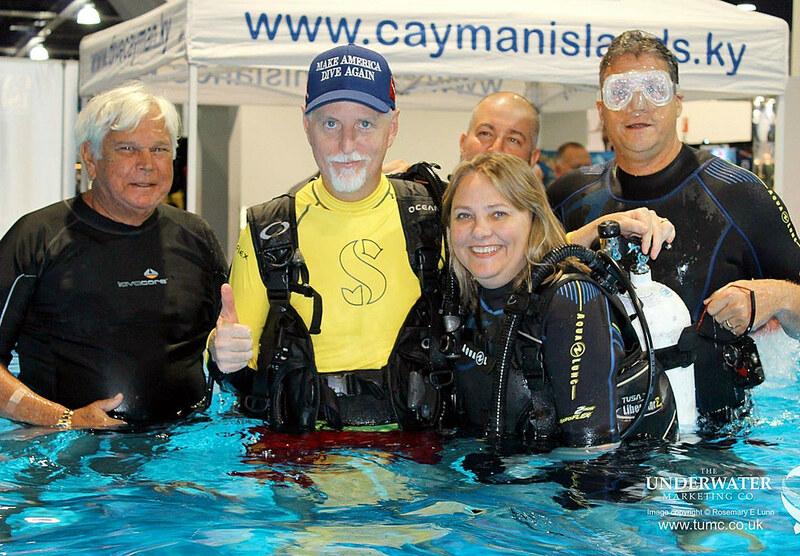 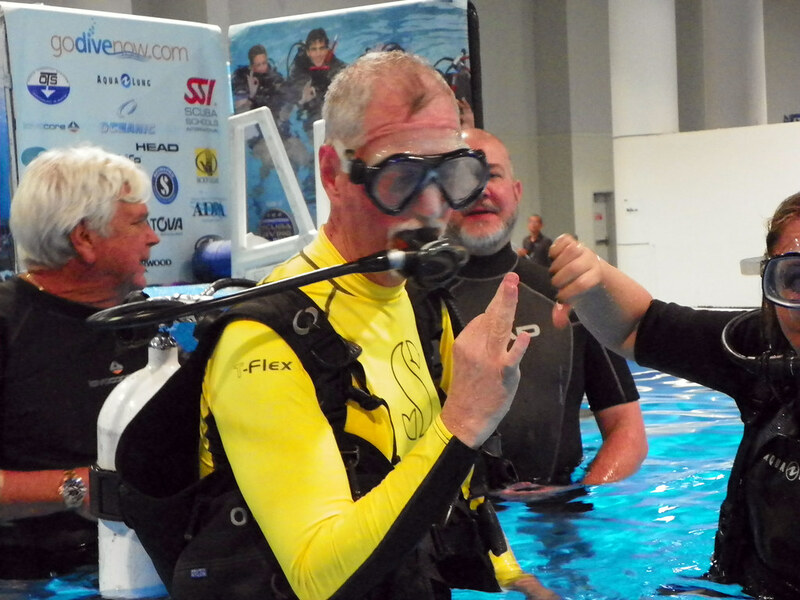 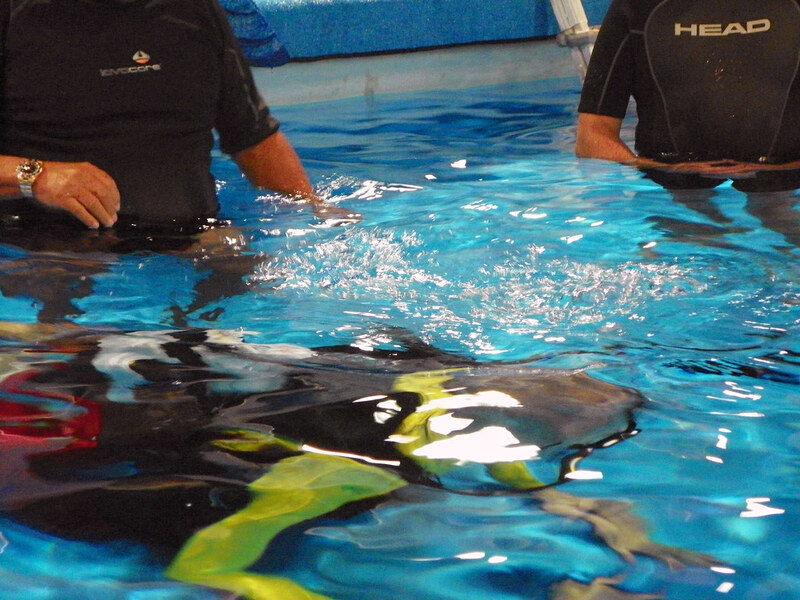 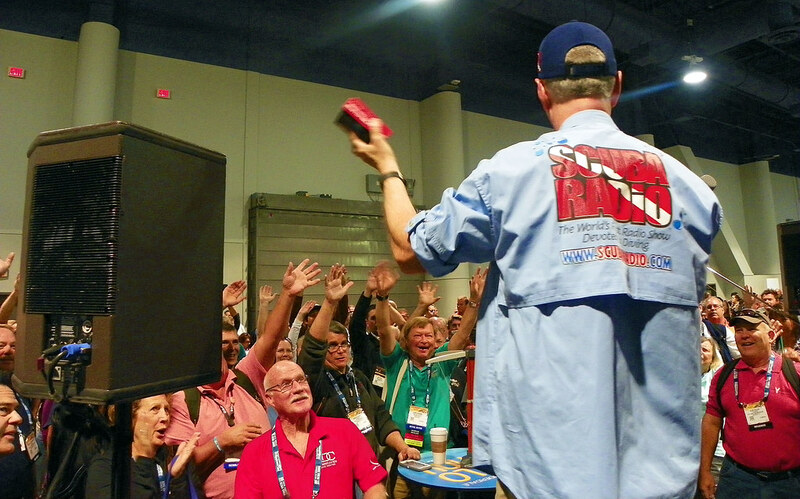 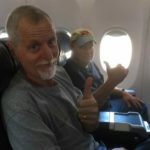 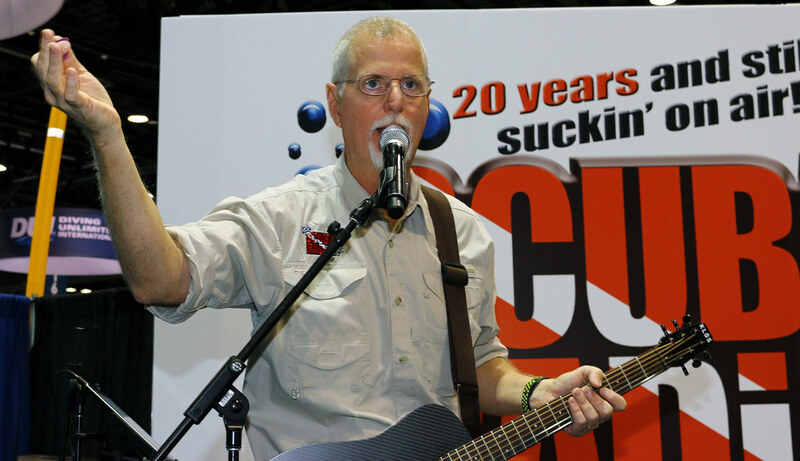 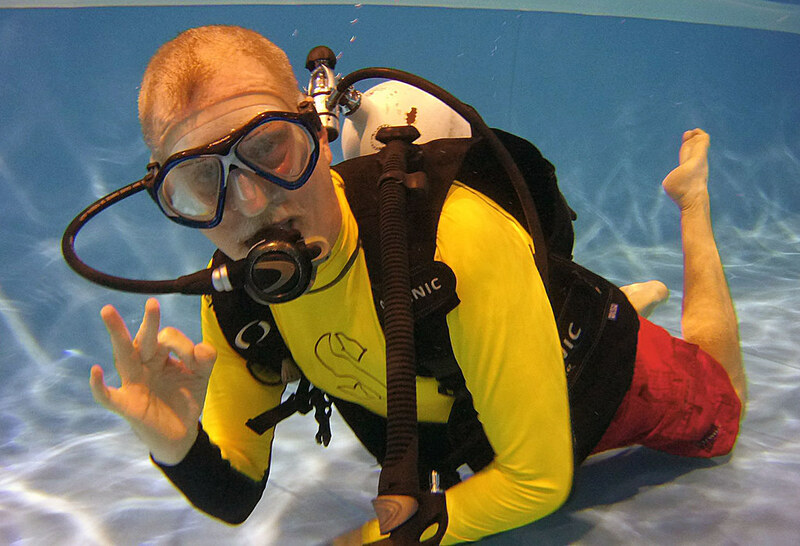 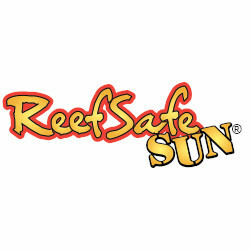 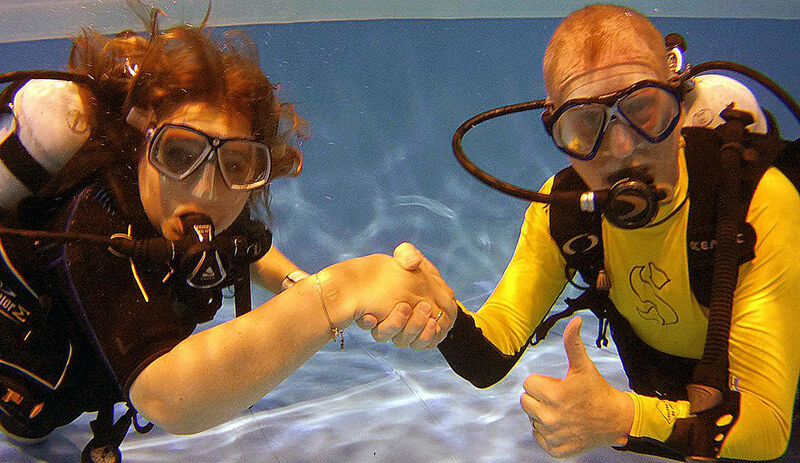 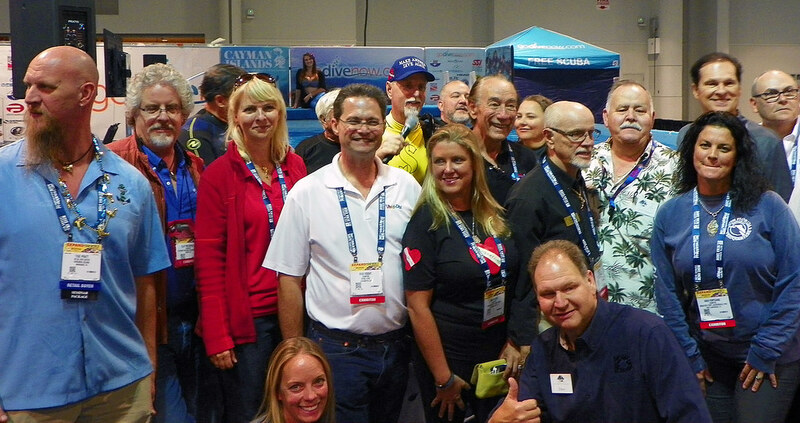 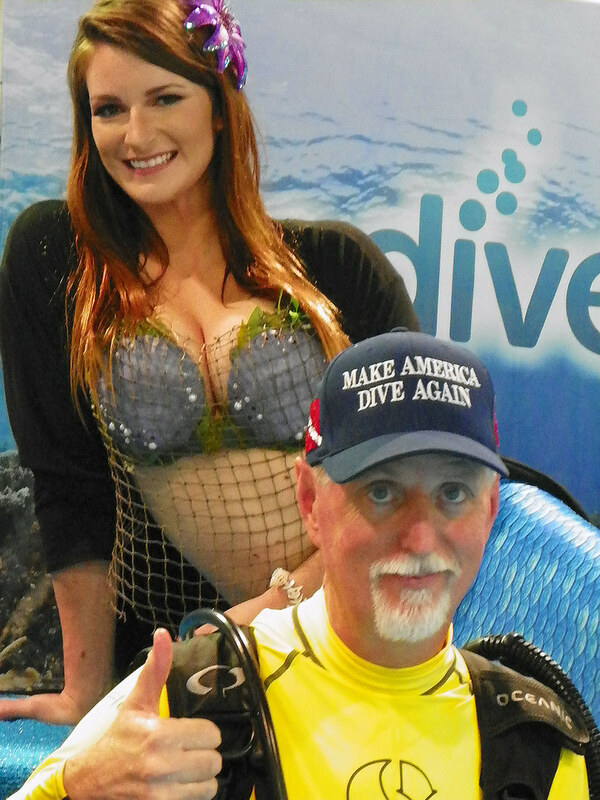 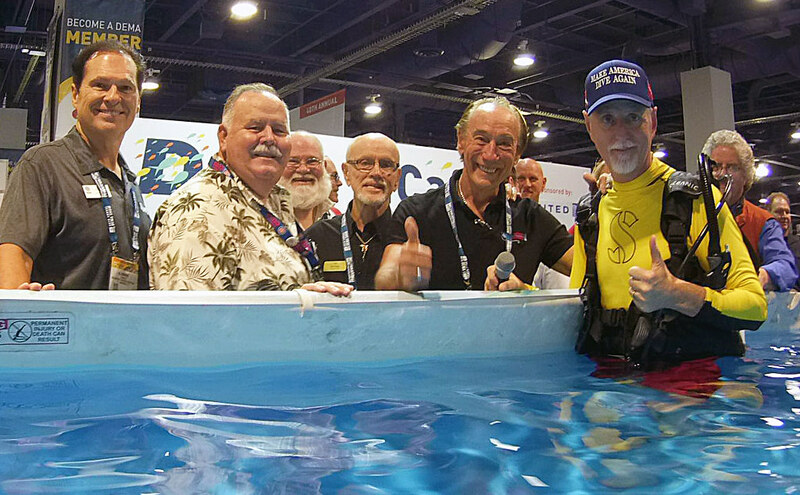 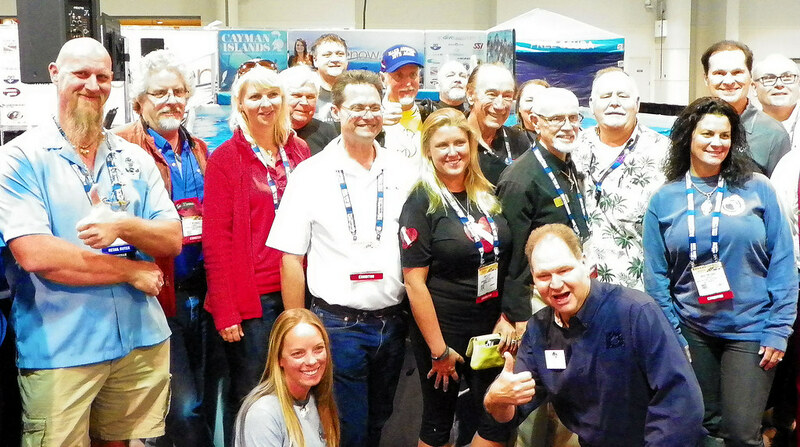 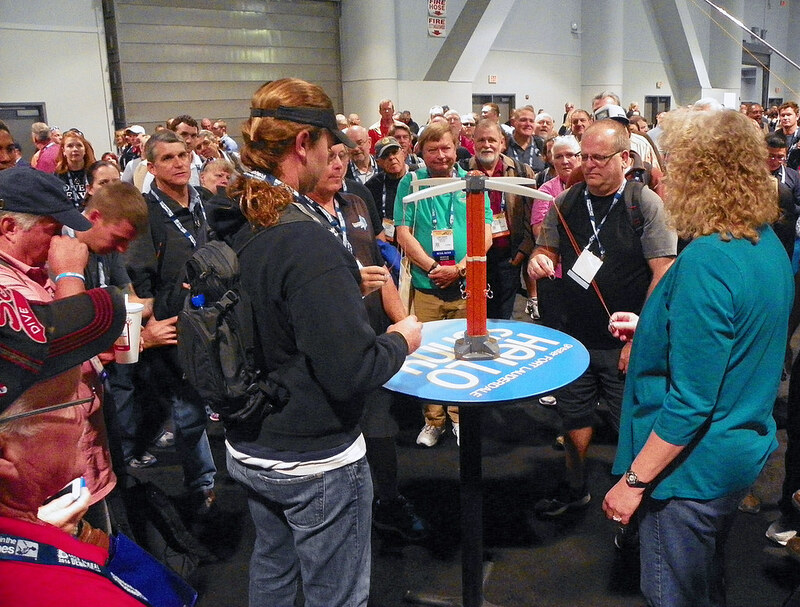 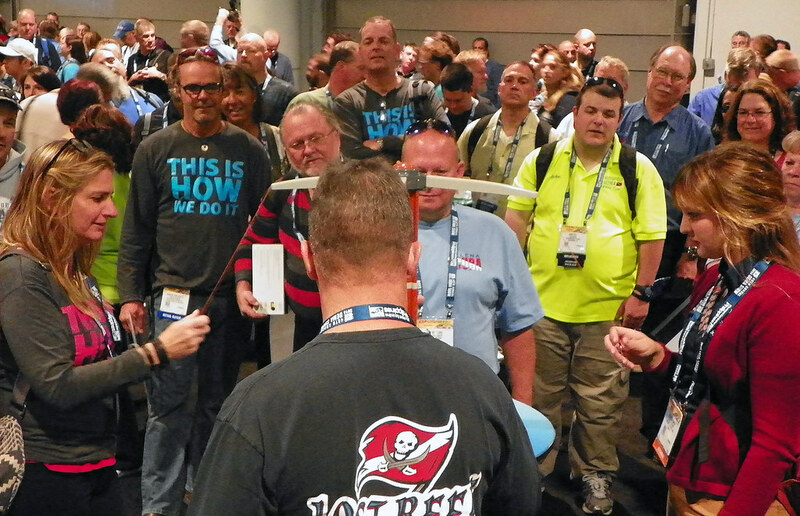 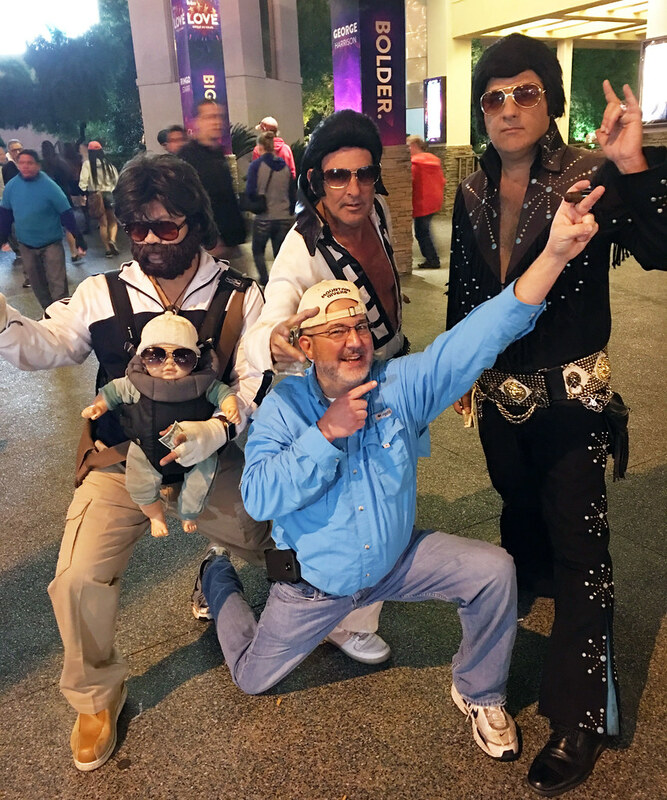 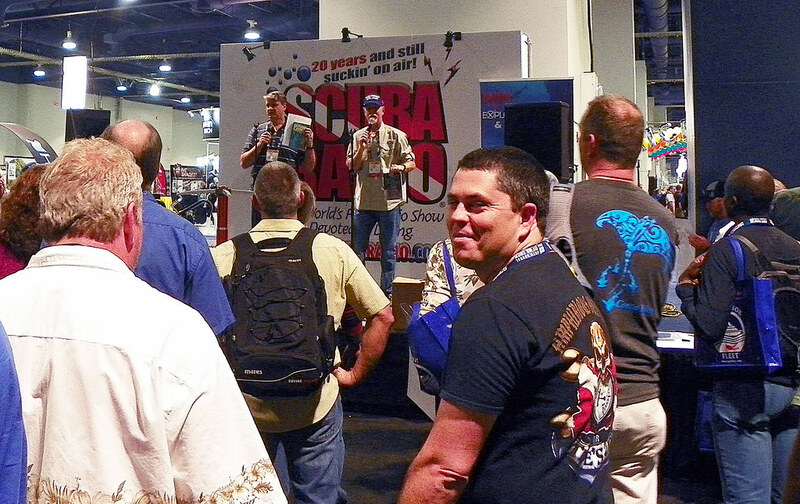 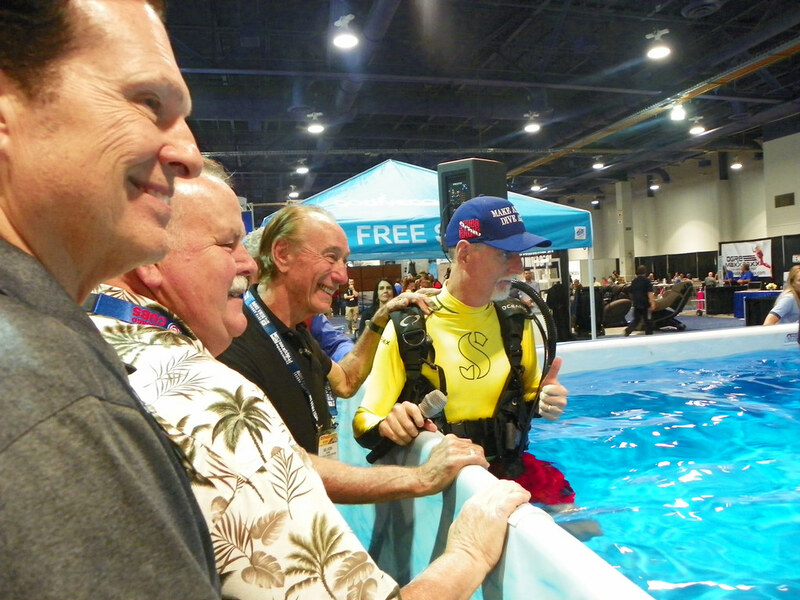 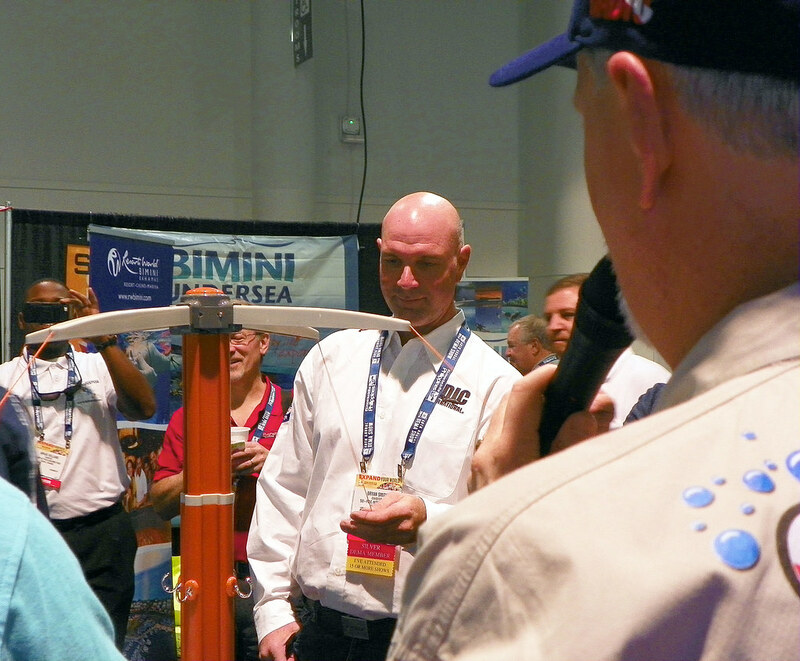 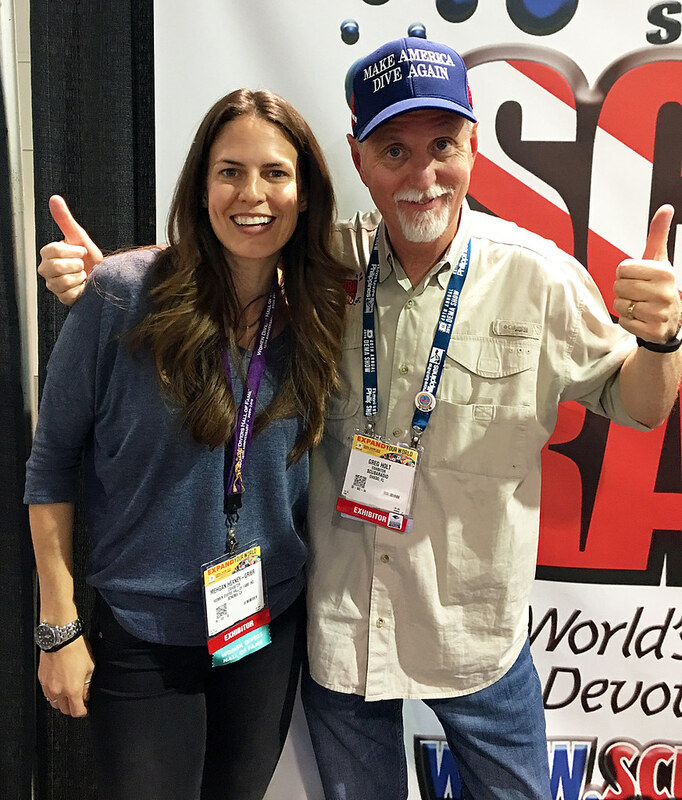 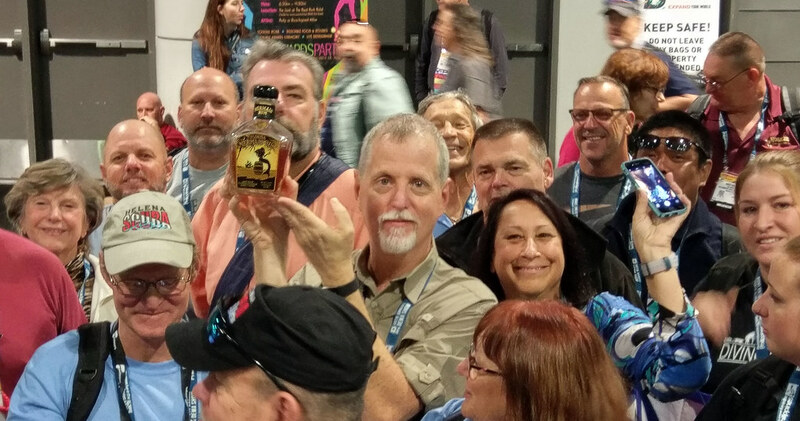 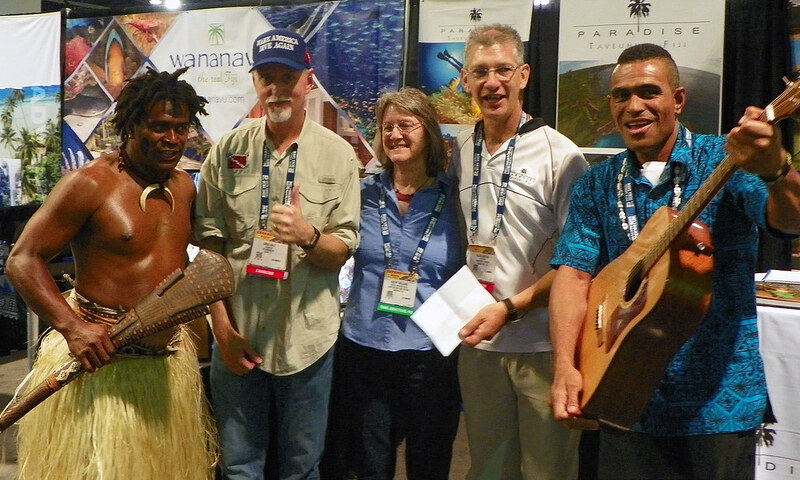 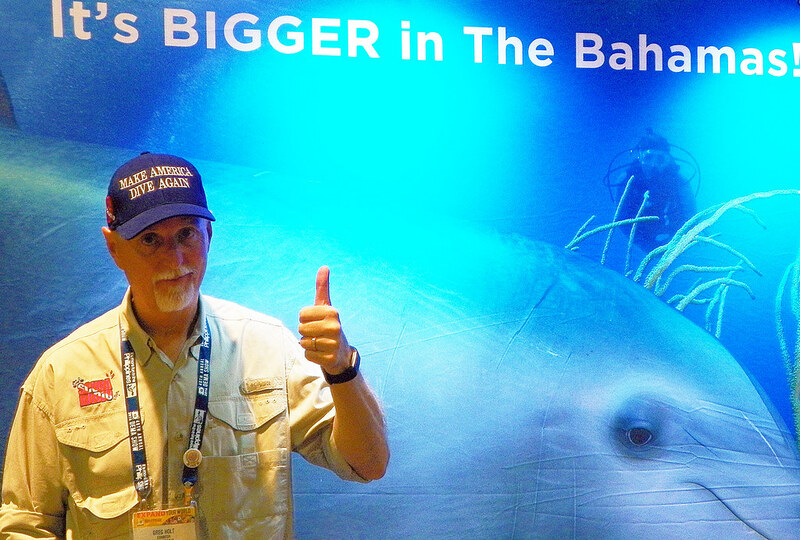 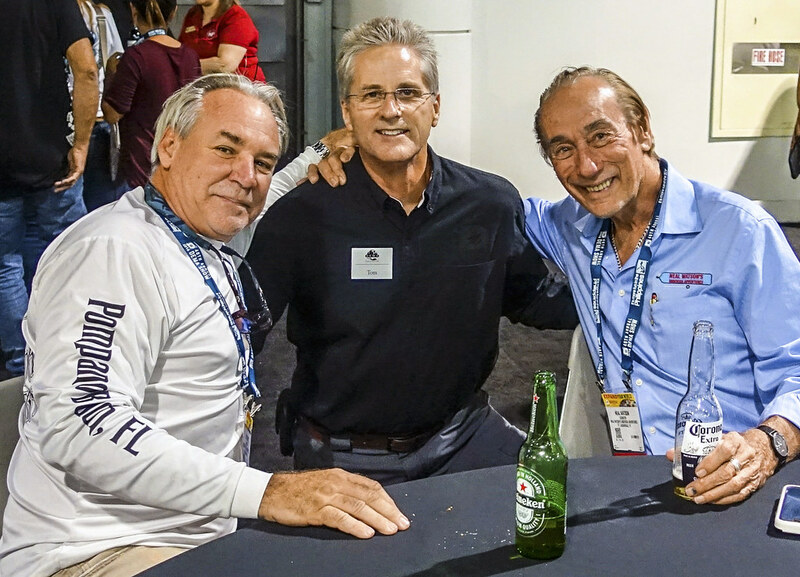 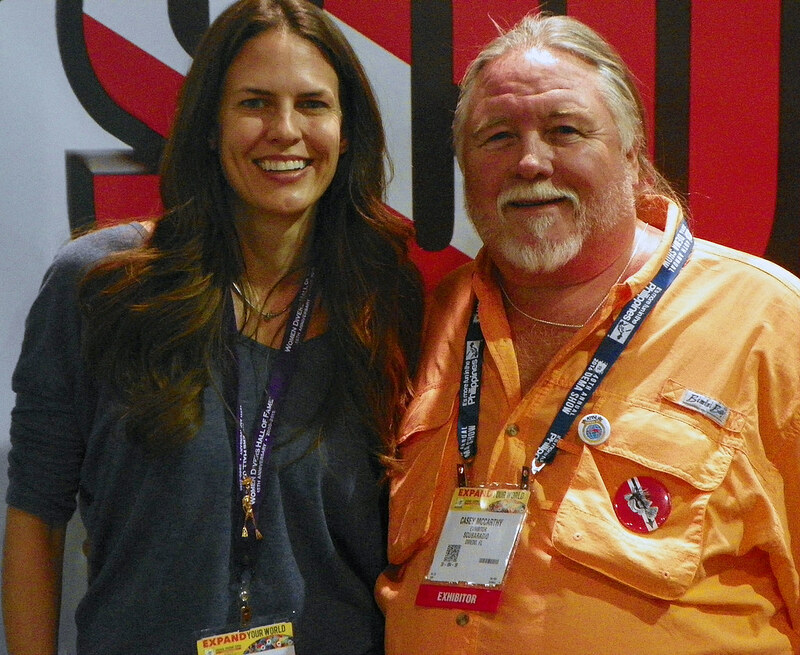 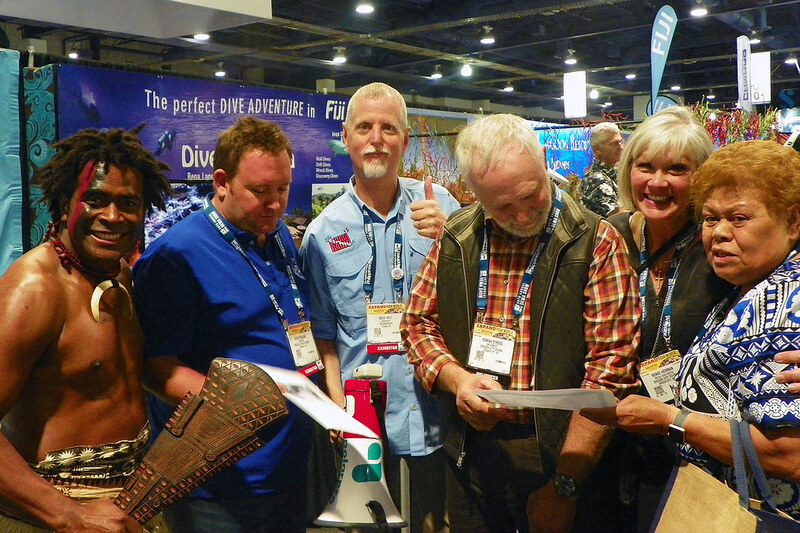 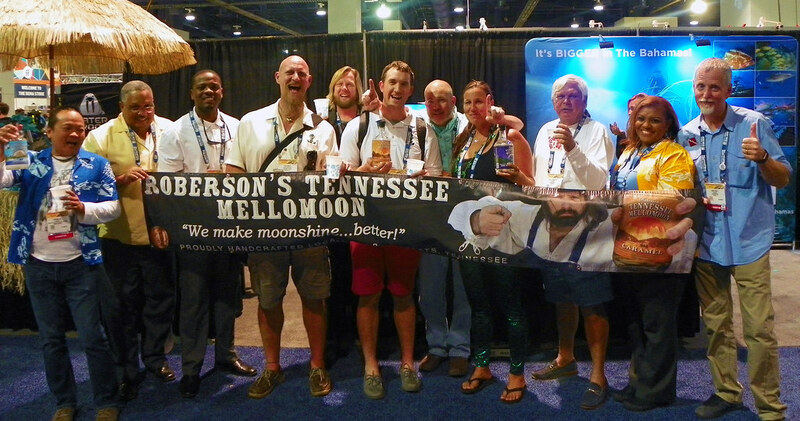 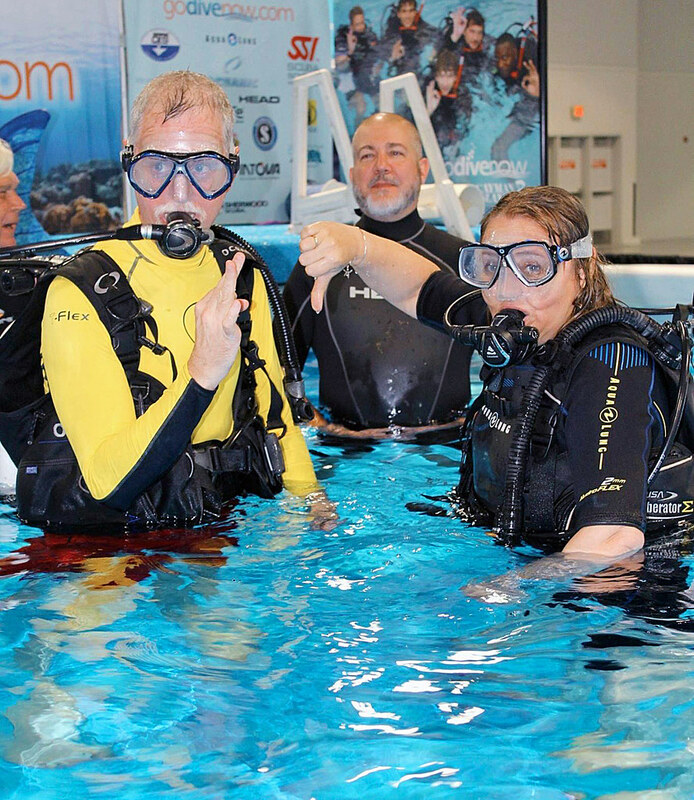 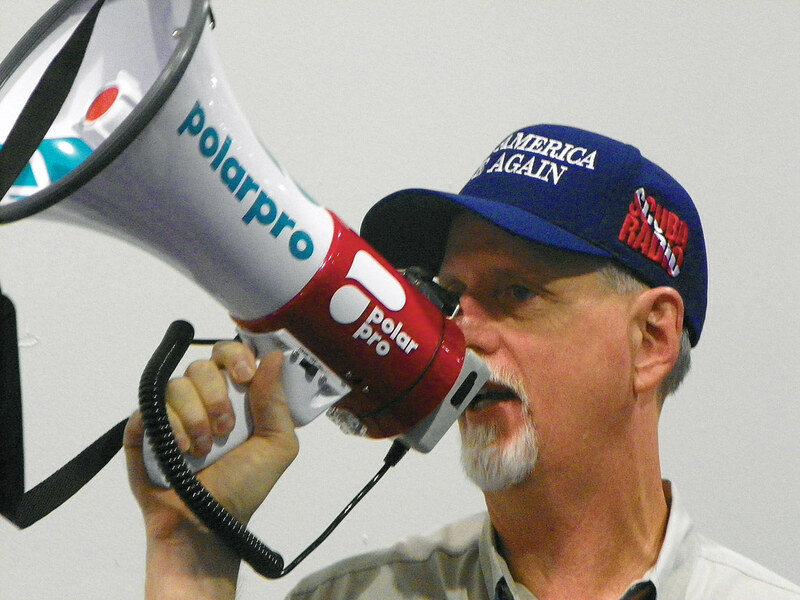 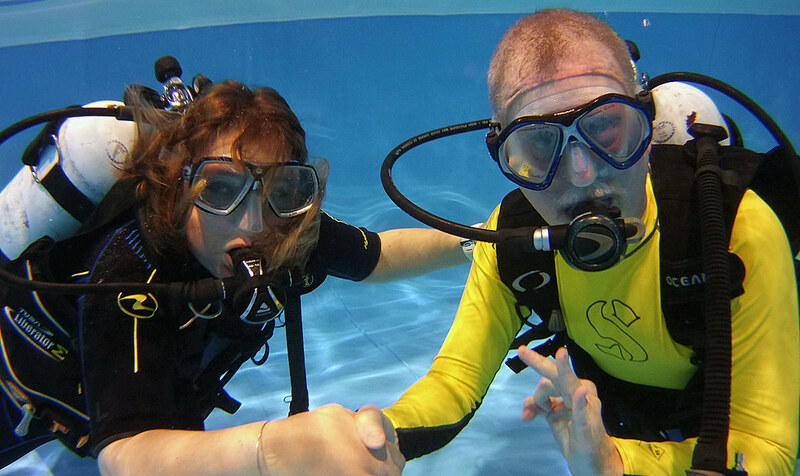 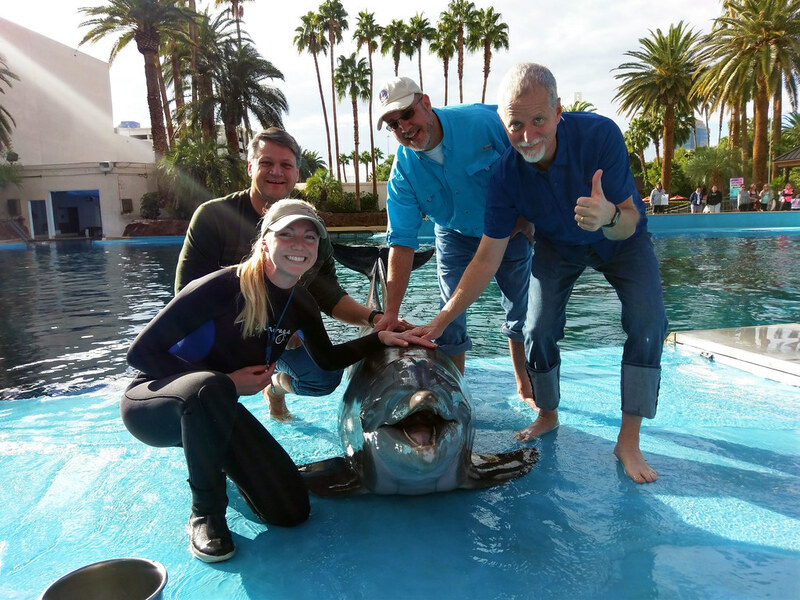 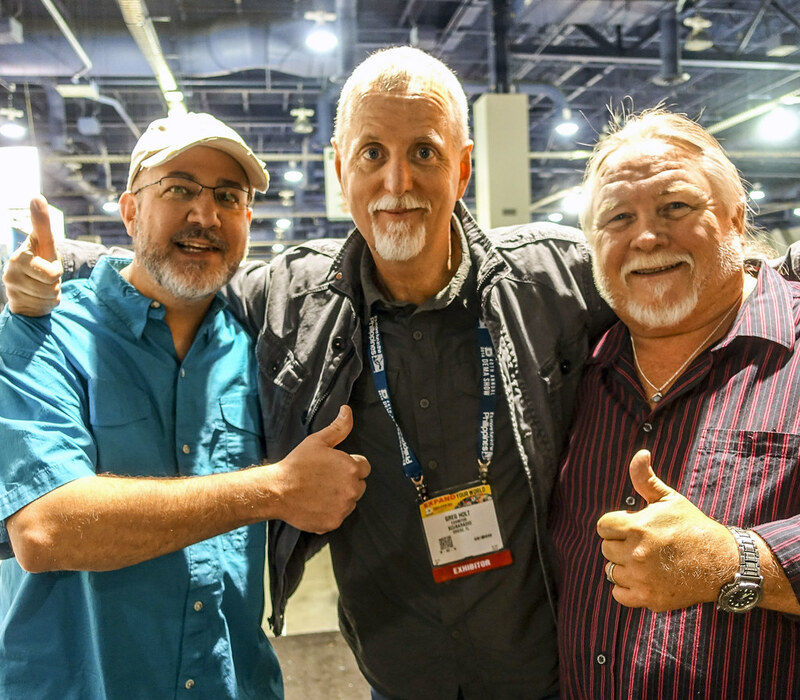 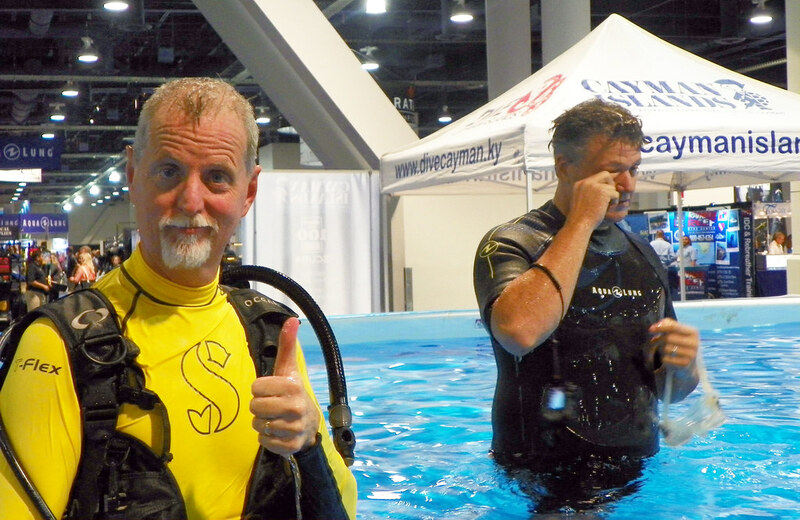 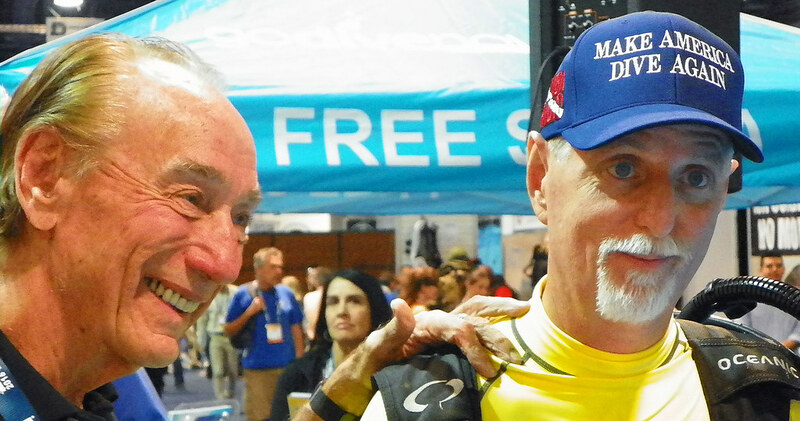 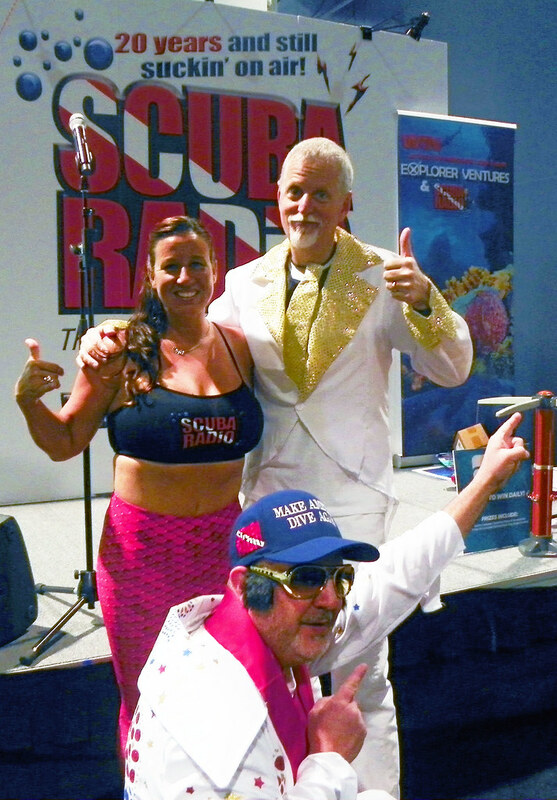 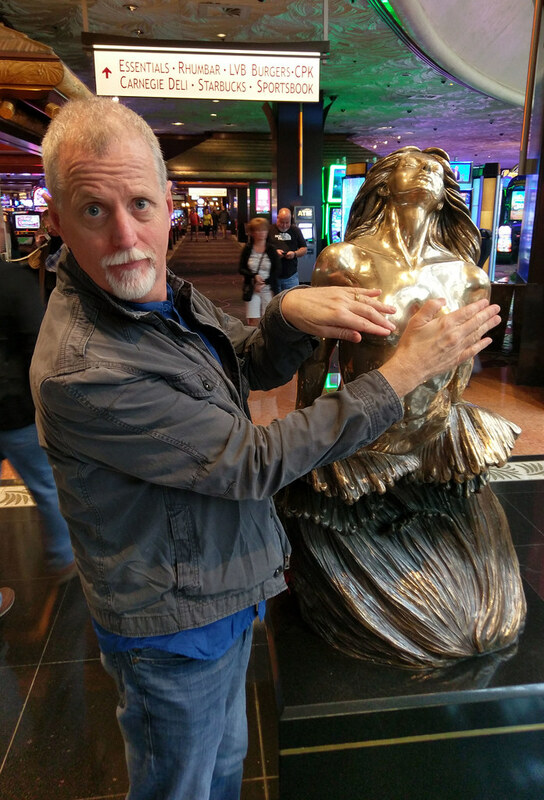 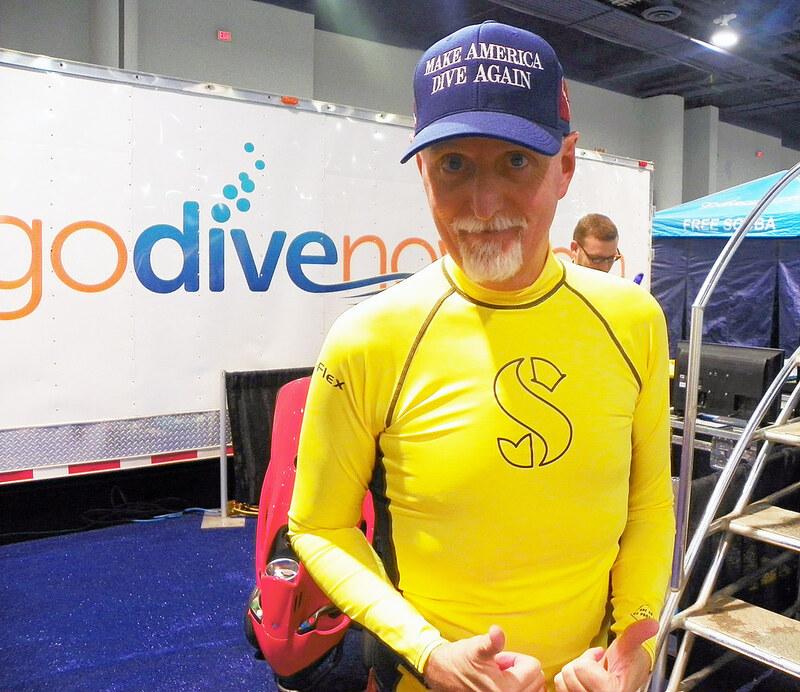 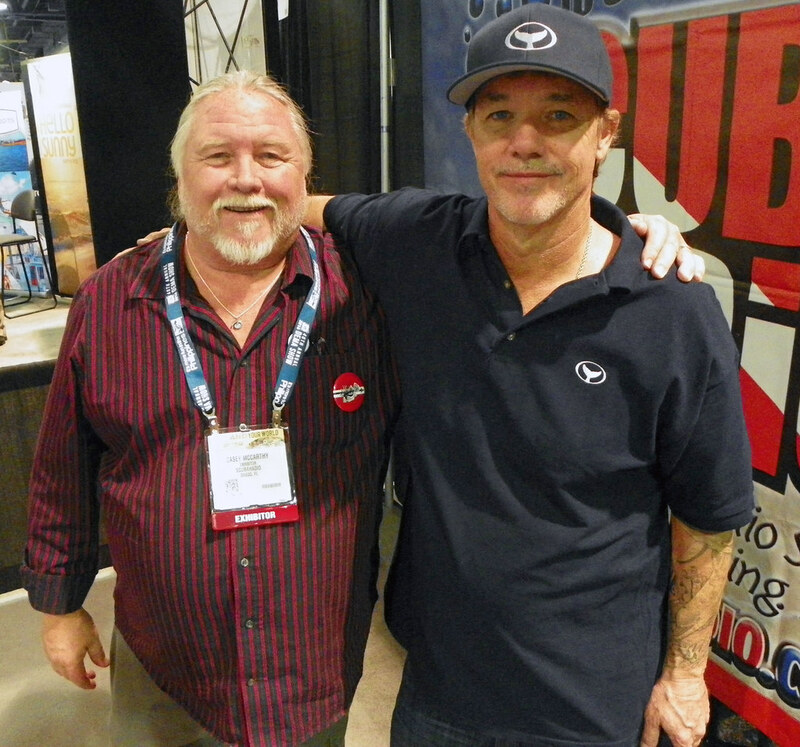 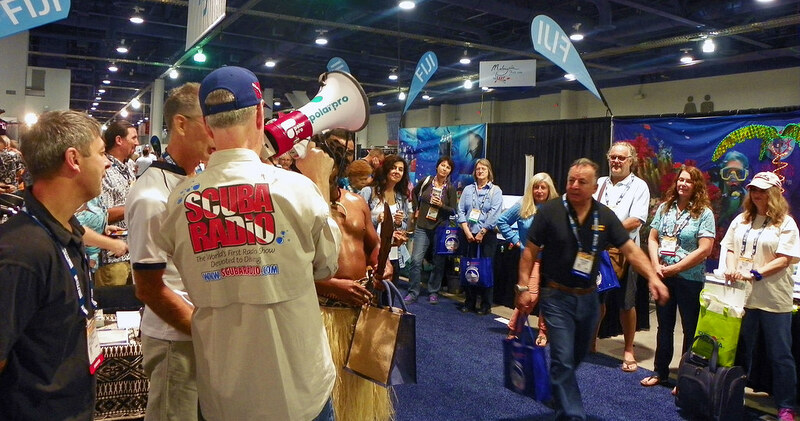 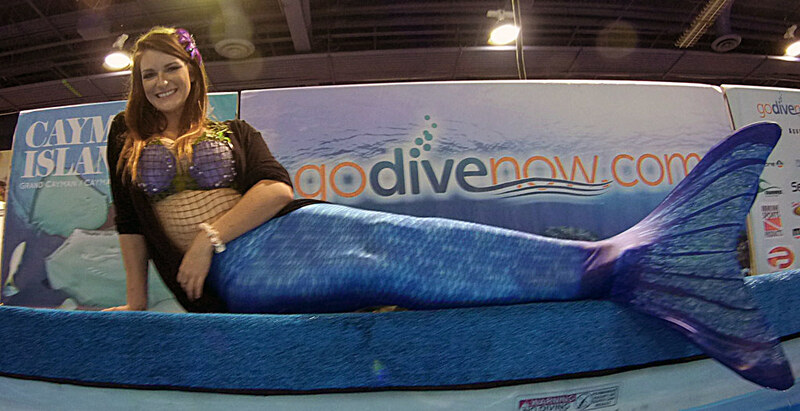 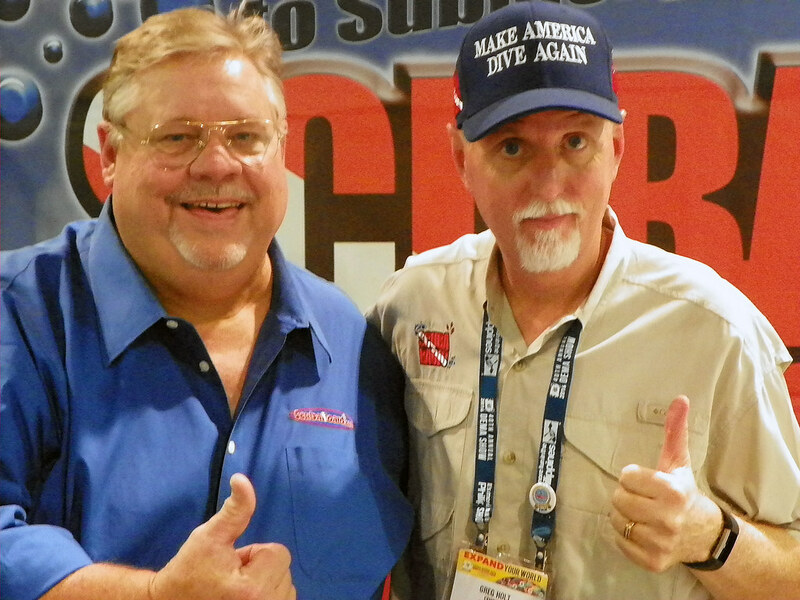 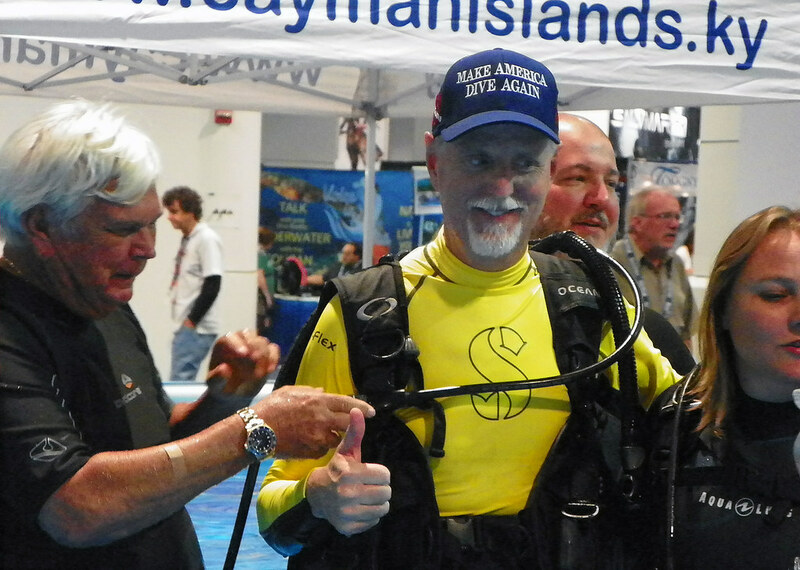 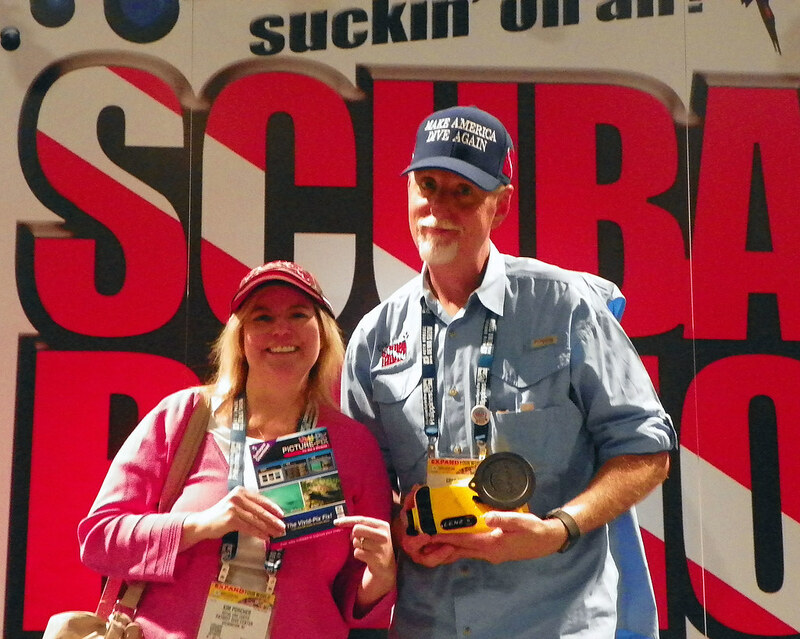 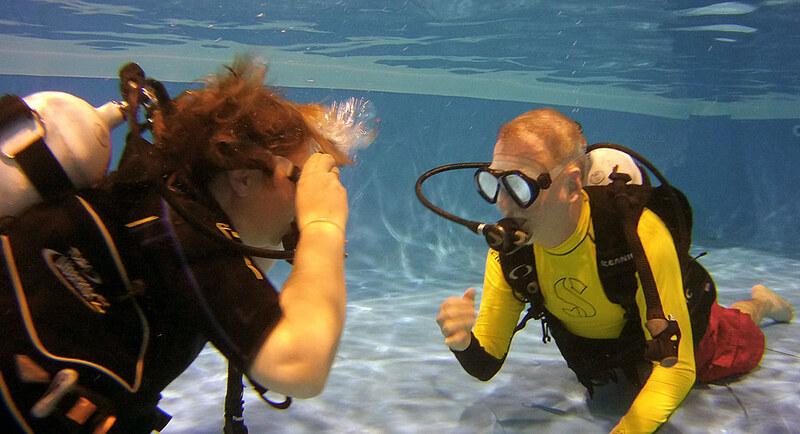 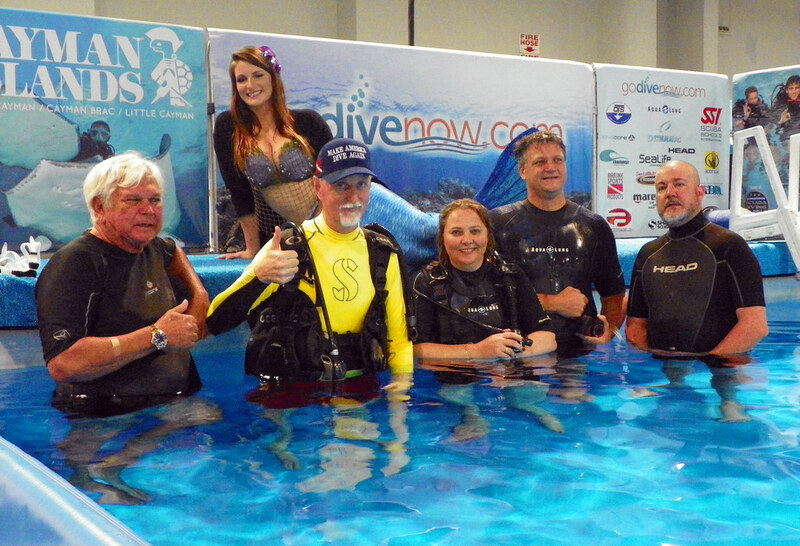 Join Greg The Divemaster and friends at the DEMA show entrance around 9:30 each morning. 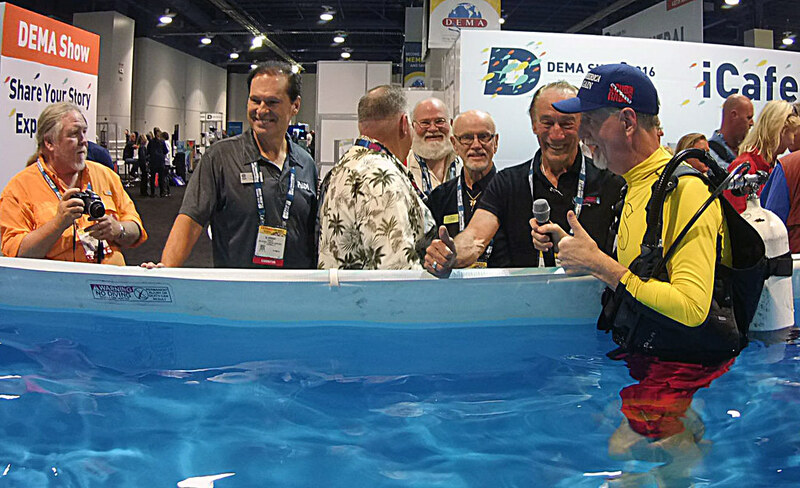 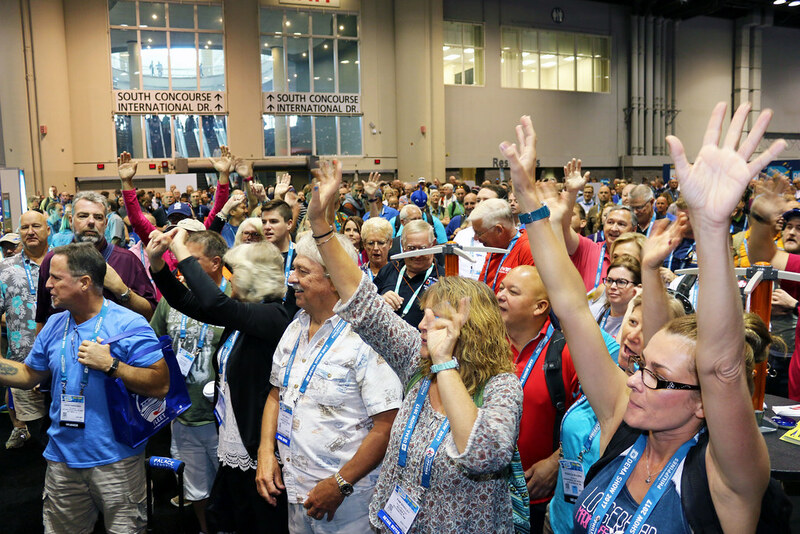 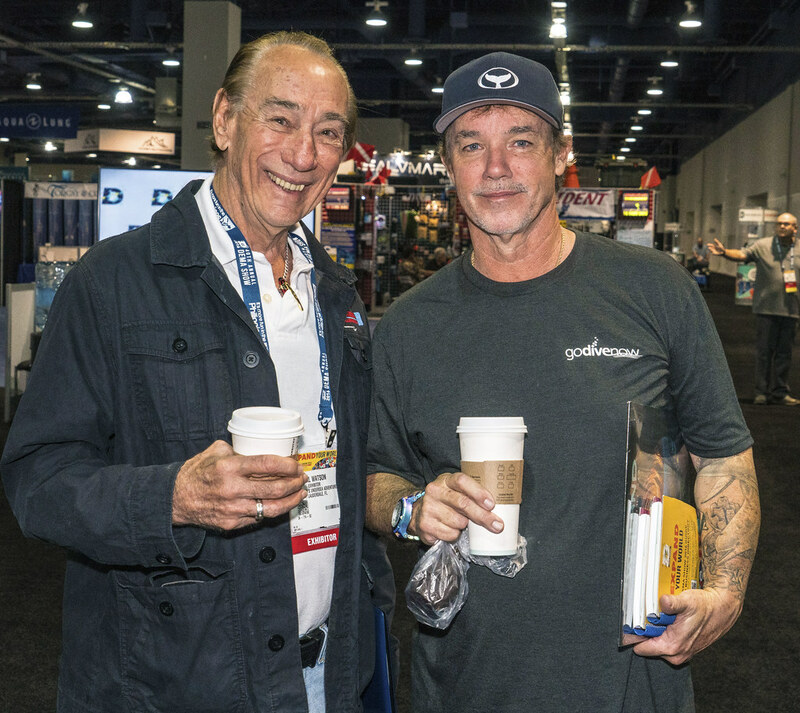 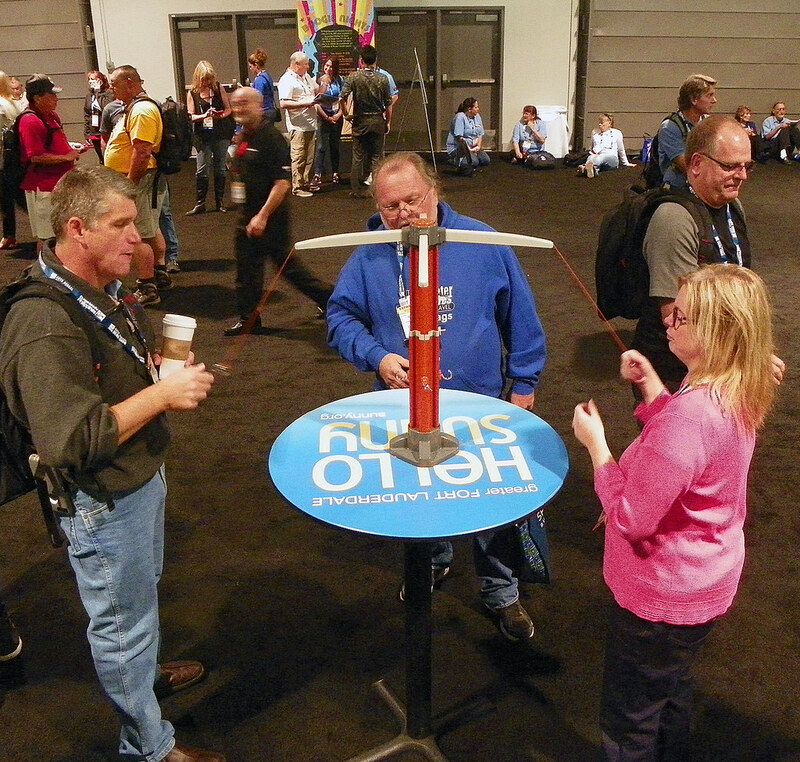 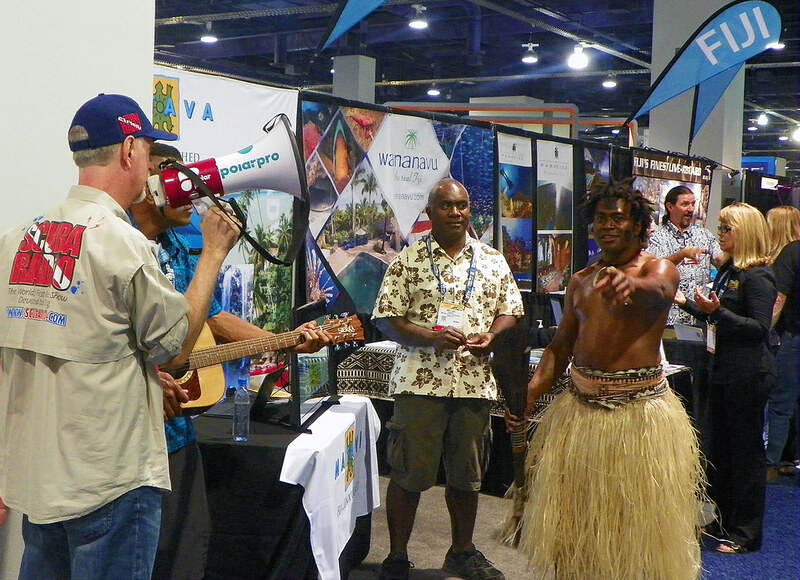 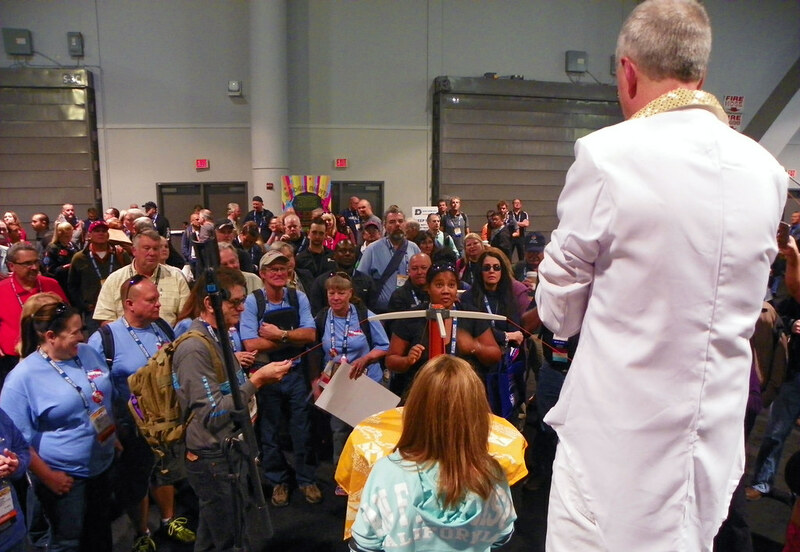 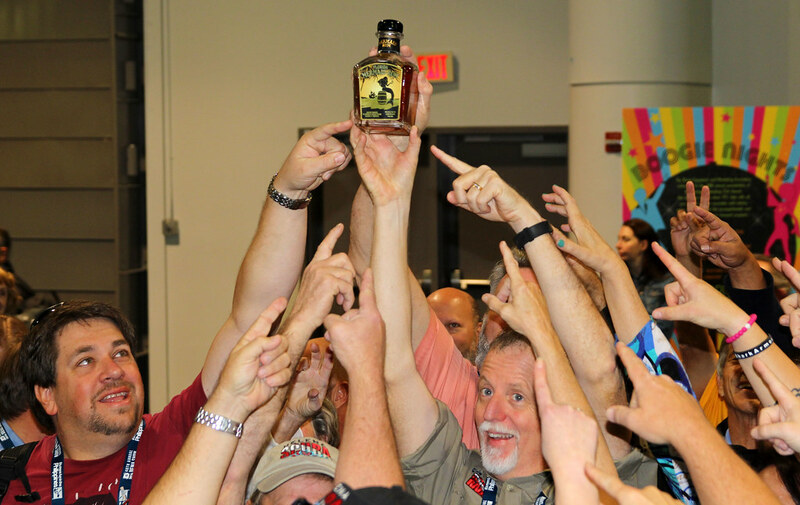 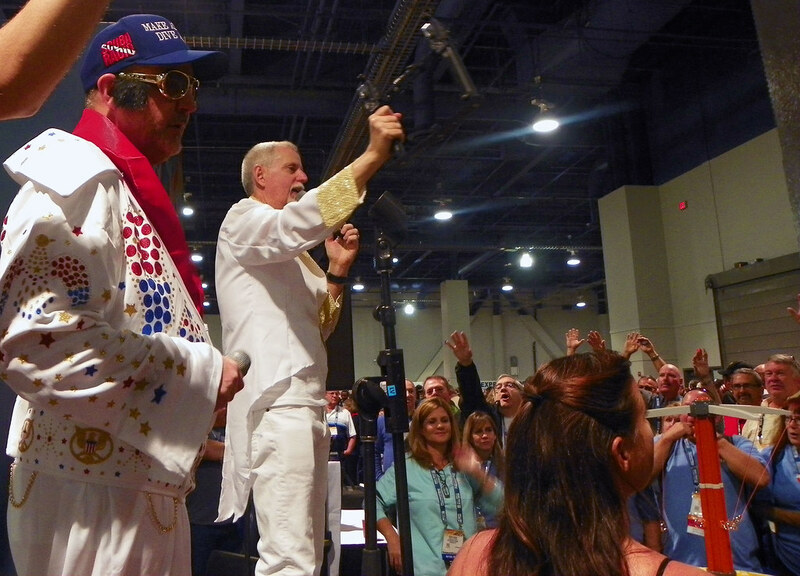 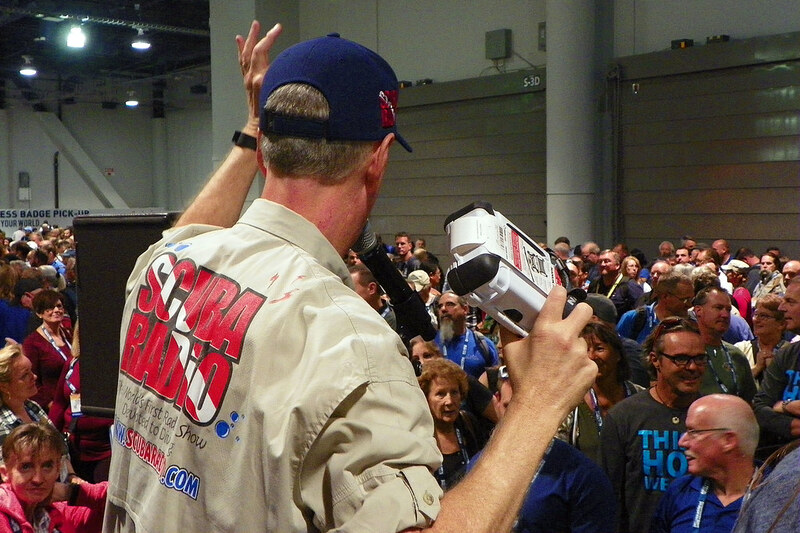 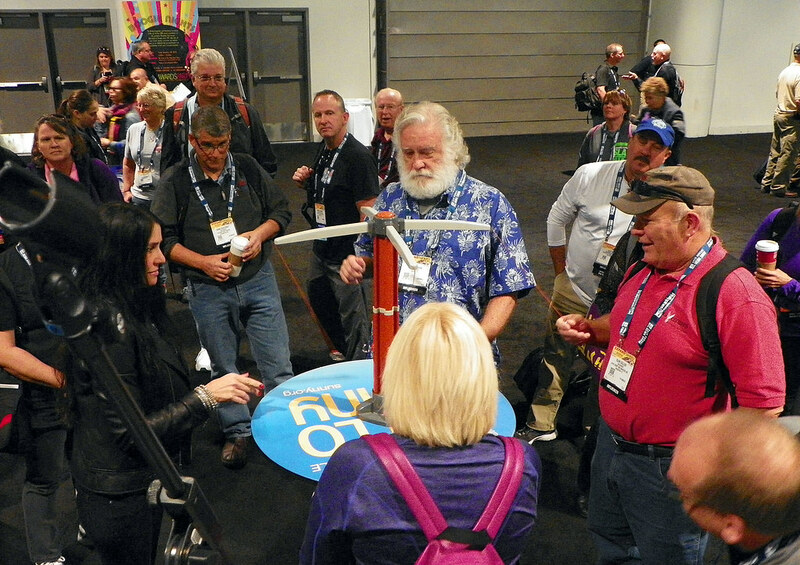 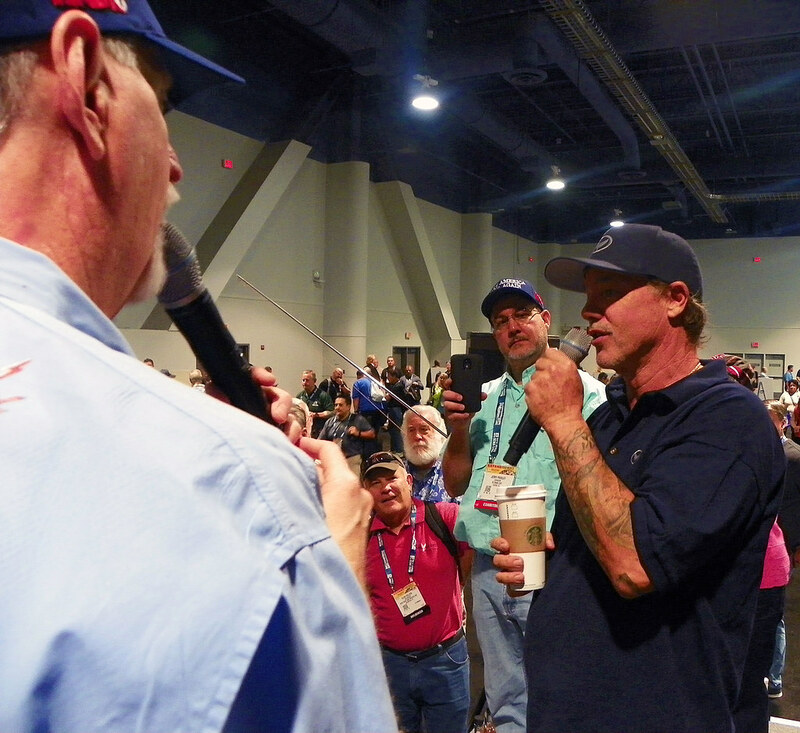 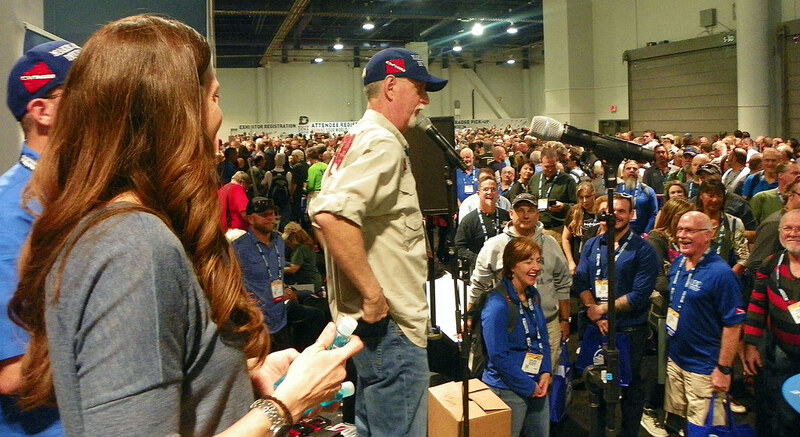 The music, games and giveaways will continue up to opening of the DEMA exhibit show floor at 10. 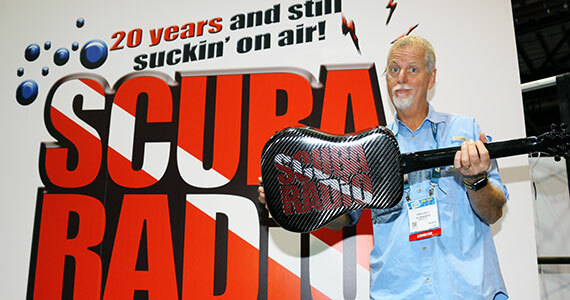 ScubaRadio sponsors are being extra generous this year. 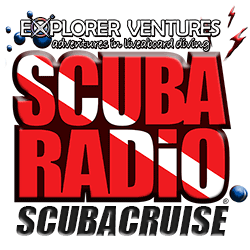 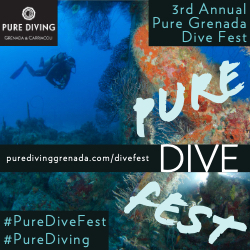 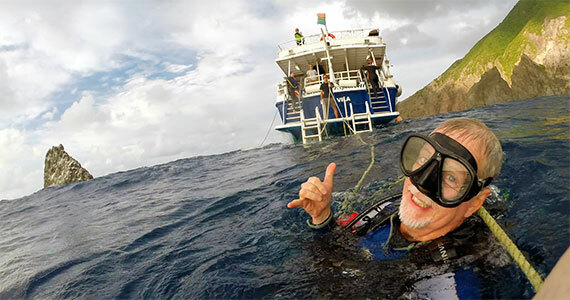 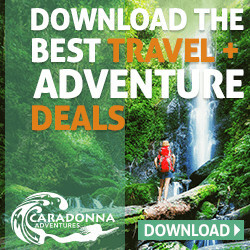 Expect free liveaboard trips with Explorer Ventures, exotic dive packages, cool dive gear, and much more to be up for grabs! 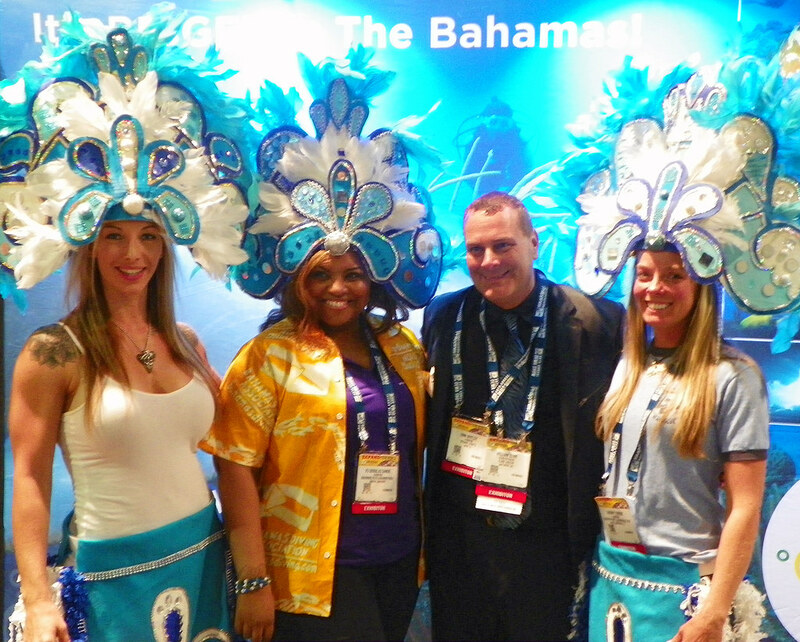 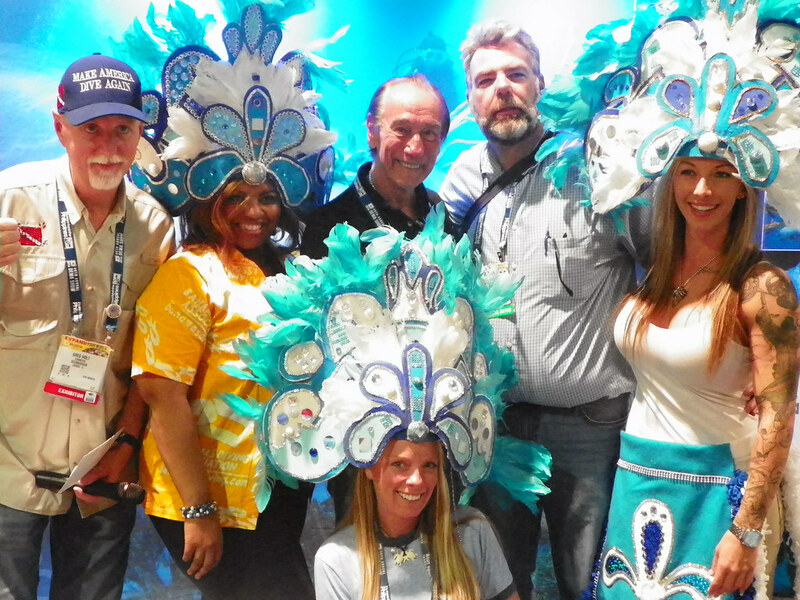 Cap off each DEMA day at 4pm in the Bahamas isle with the ScubaRadio-Bahamas Junkanoo Happy Hour party! 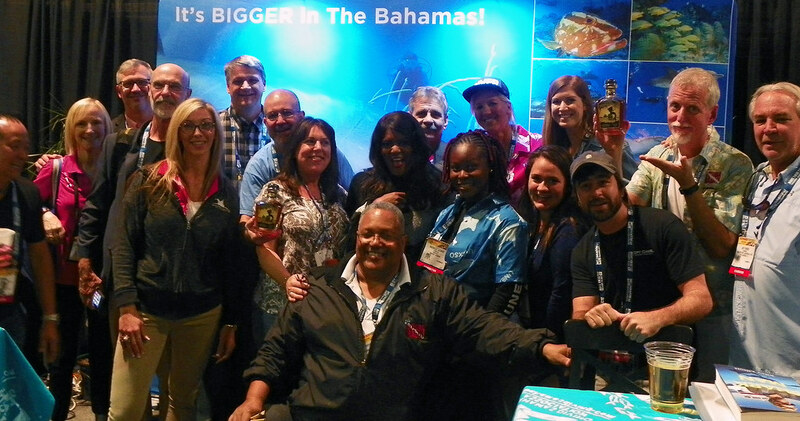 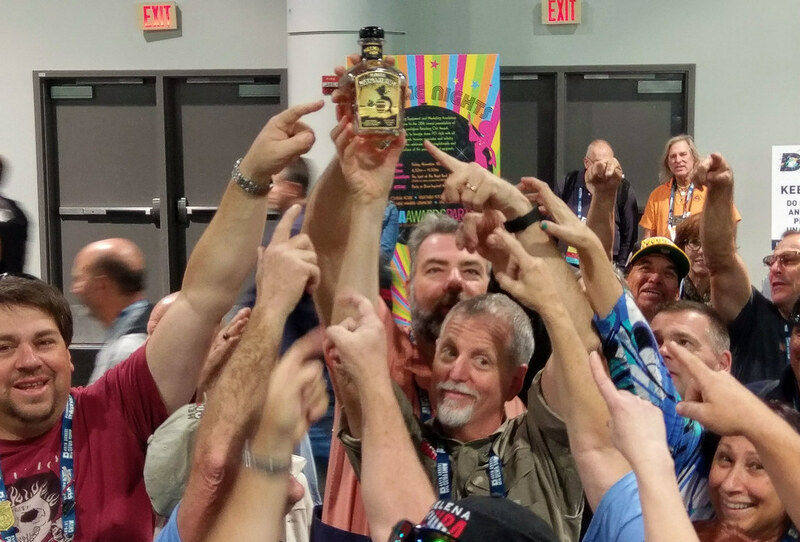 Even more big trip giveaways and rumors of Free Rum Punch circulate for this annual event. 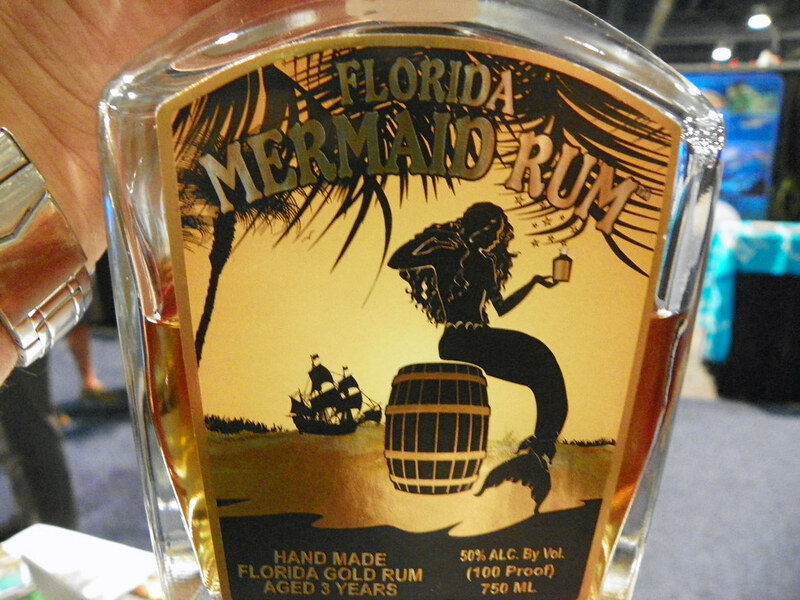 So we highly suggest you be in the Bahamas isle by 4pm if you find yourself a bit thirsty at the end of the day. 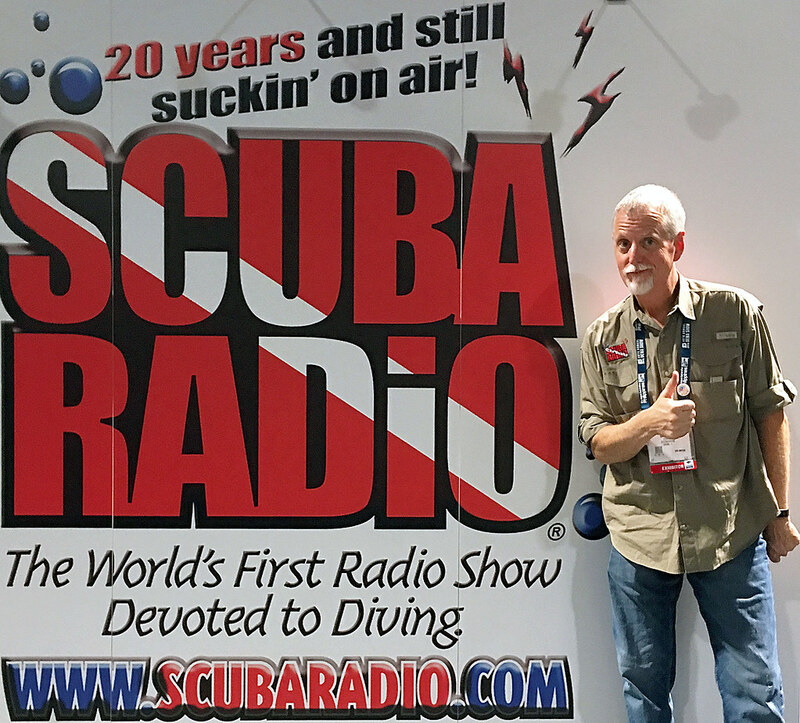 In case you missed it, the April 1st 2017 broadcast was a very special show for our ScubaRadio crew. 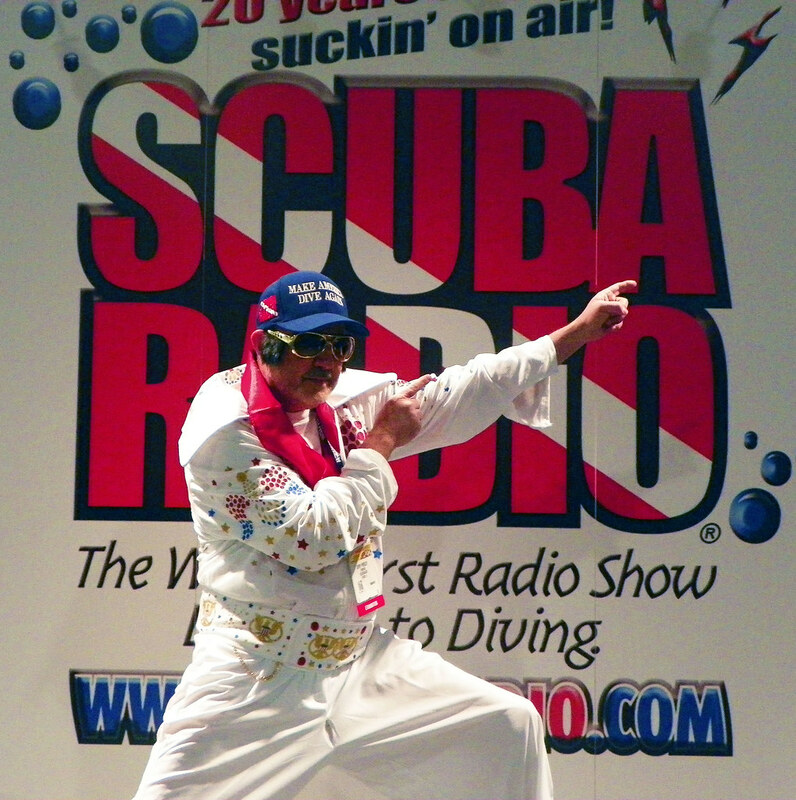 Twenty years ago that day we started the world's first radio show devoted to diving….no foolin'. 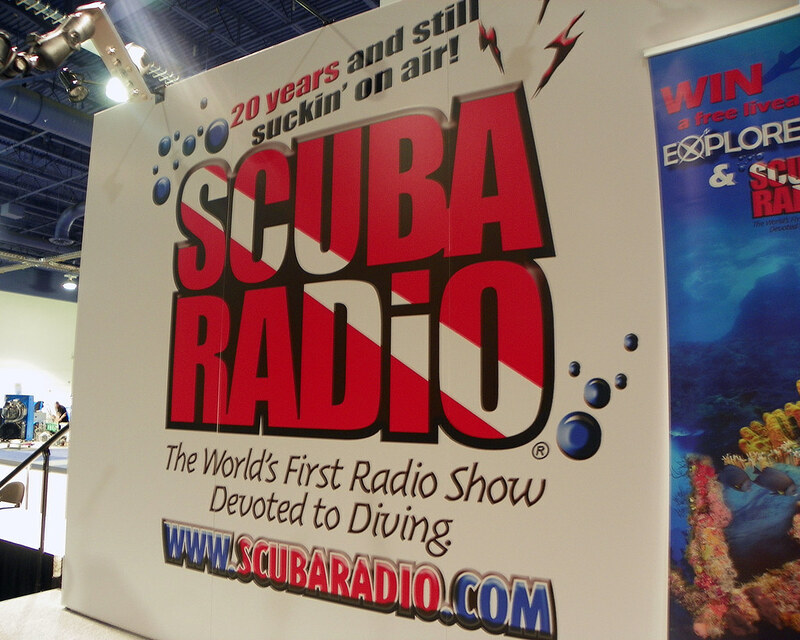 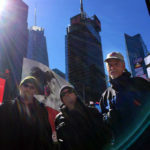 However, that didn't keep us from a little foolishness as we offered up the world premier of ScubaRadio, 20 years and still suckin' on-air! 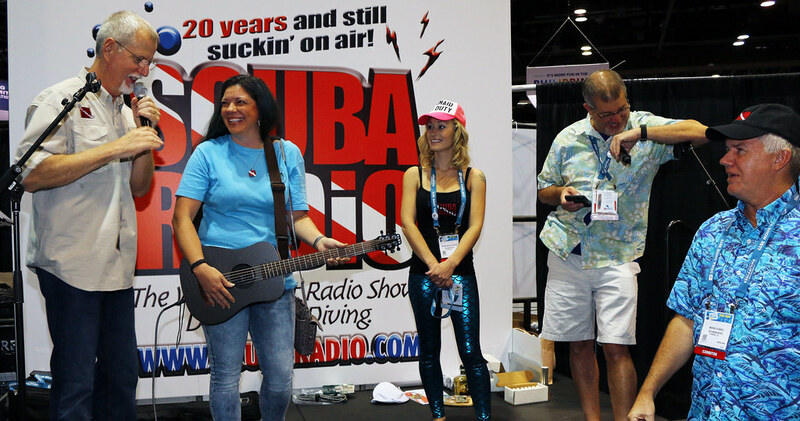 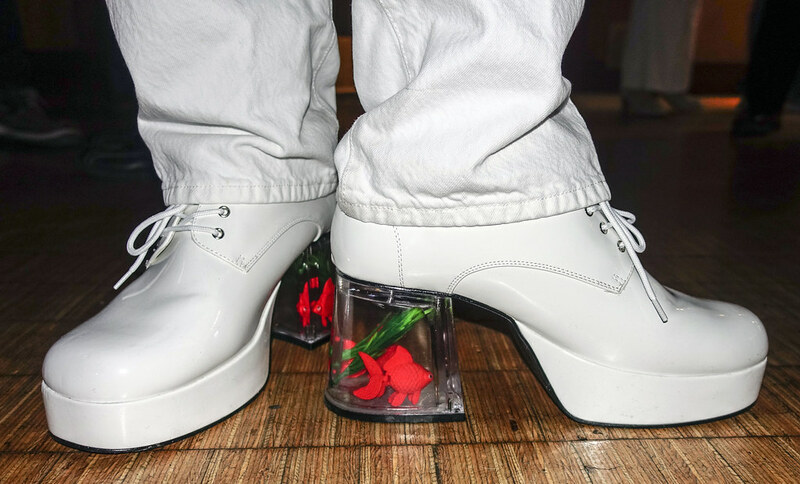 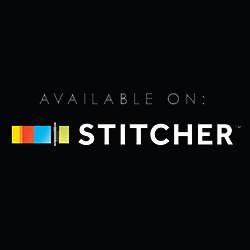 This new off broadway production takes you on a trip through ScubaRadio's past, present, and future. 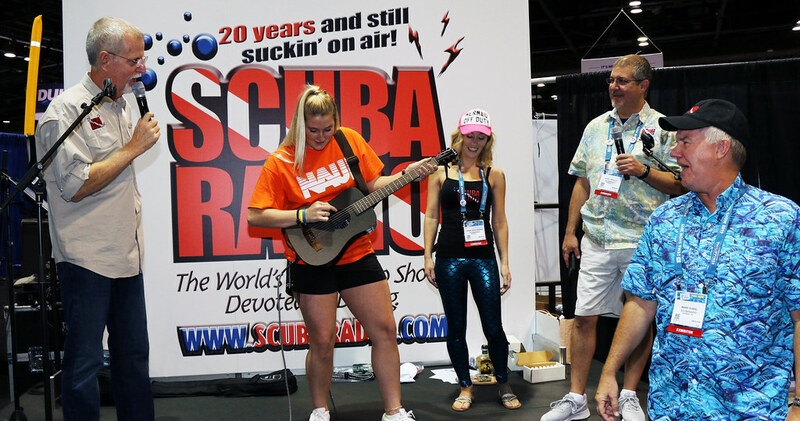 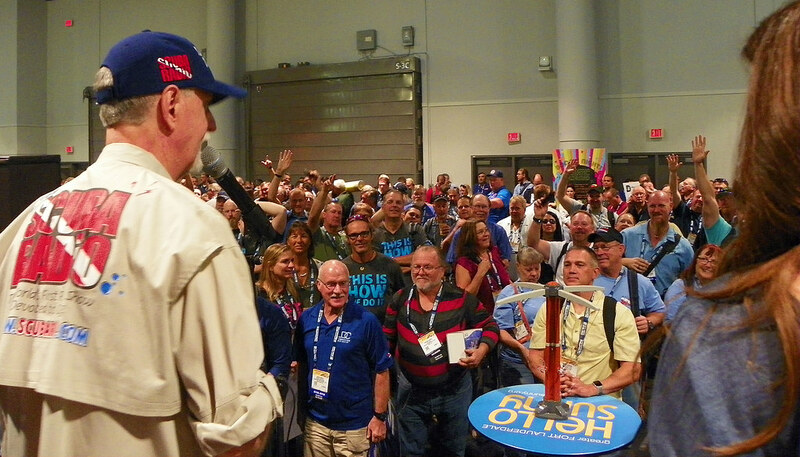 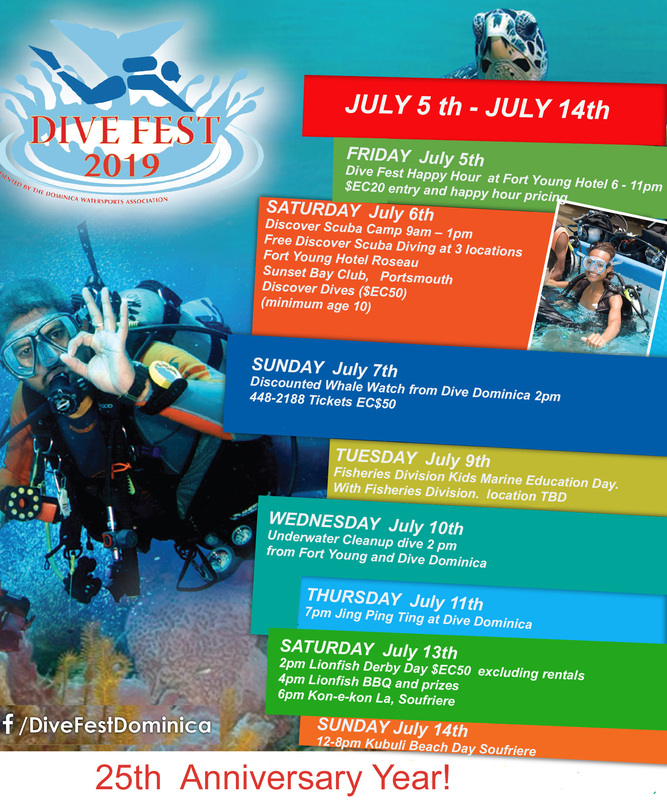 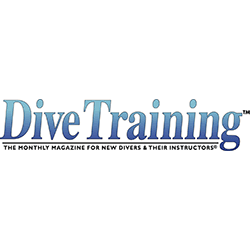 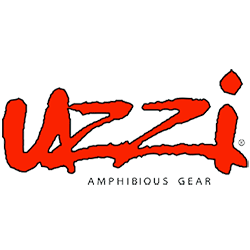 It was recorded in front live audience of dive industry dignitaries immediately following the end of the Beneath the dive show in Secaucus New Jersey (off Broadway). 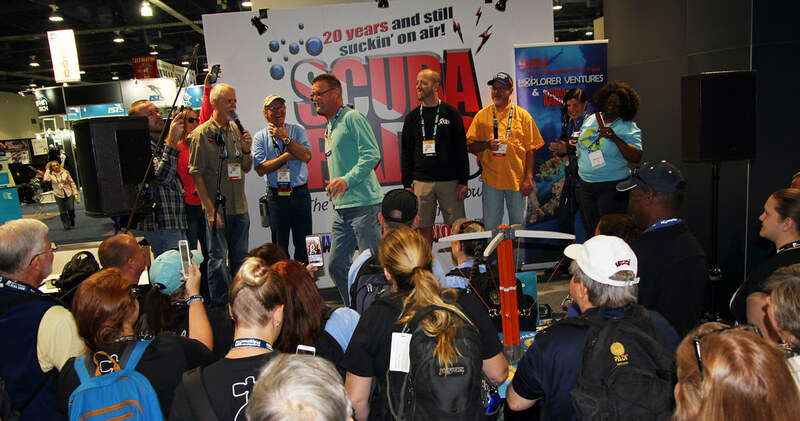 The event was shared with the rest of the world at the end of our 20 year anniversary show. 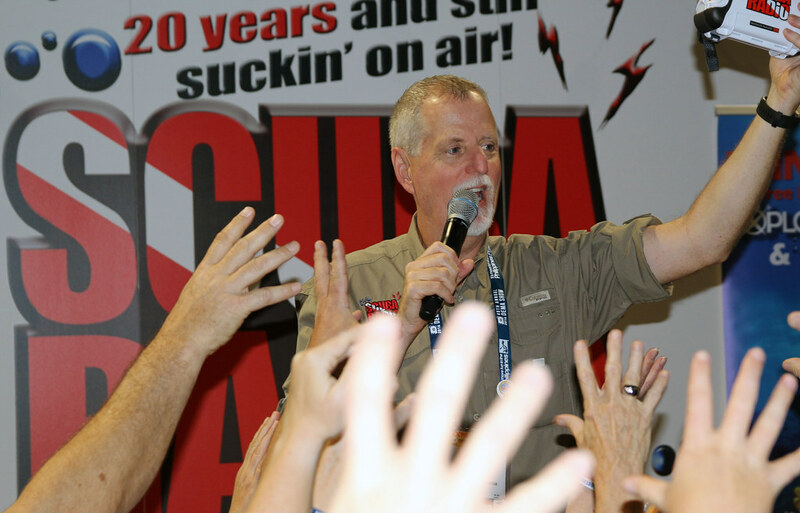 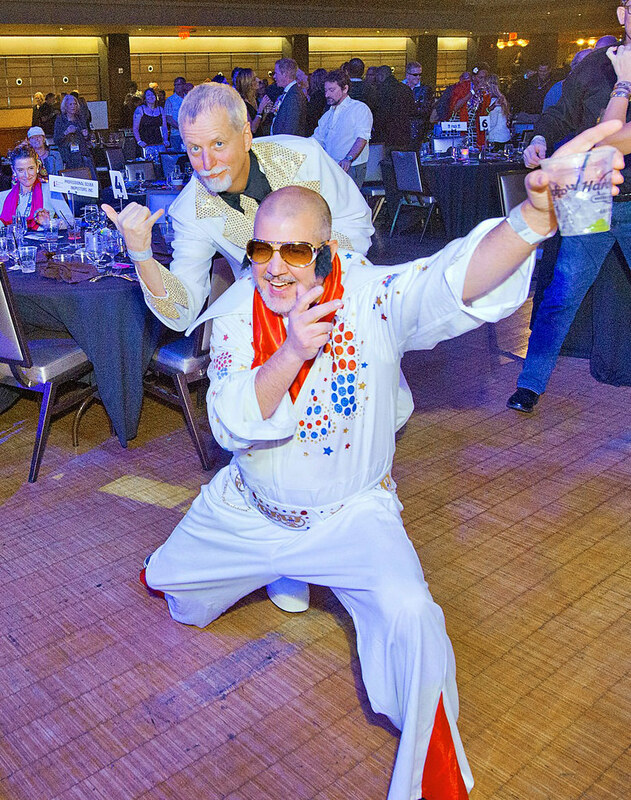 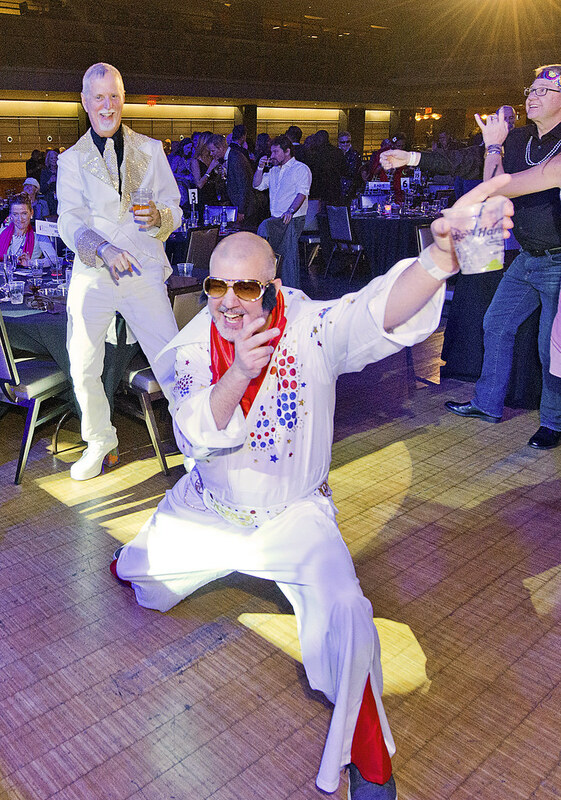 For those with a short attention span, here's a clip that gets right to the good stuff….enjoy! 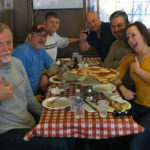 Lombardies pizza with the crew in NYC! 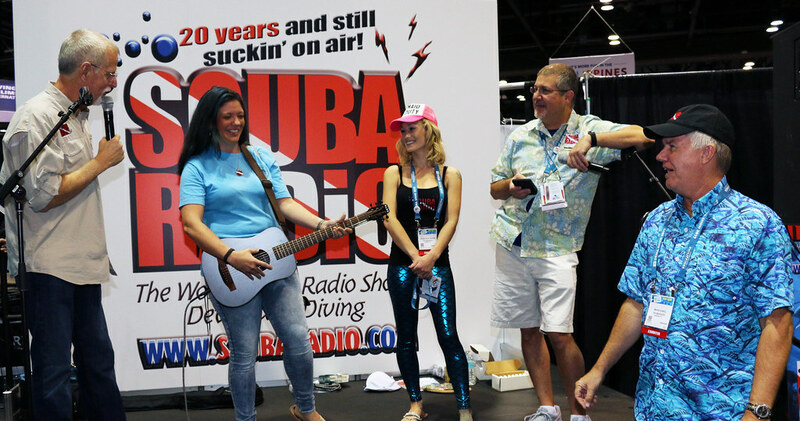 The ScubaRadio crew for BTS 2017! 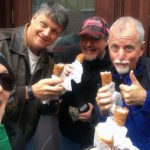 Little Italy with Mermaid Abby and crew!